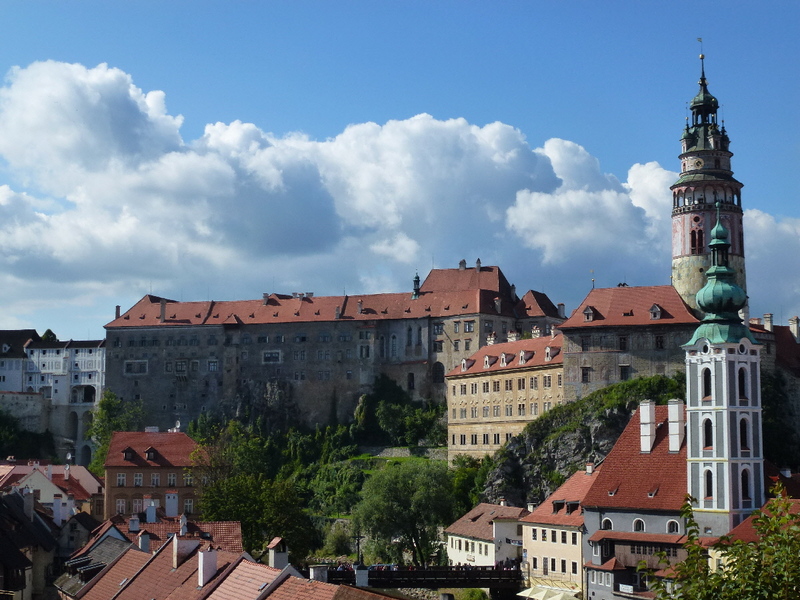 In my last post about my trip to Czechia I thought I would tell you a bit about the lighter side of my trip. 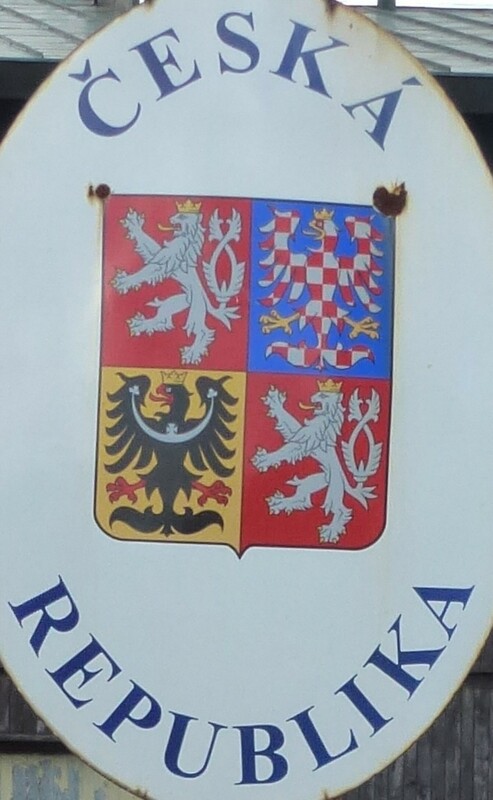 While it was a very educational trip, we did have our share of fun and I did learn some interesting and quirky facts about Czech culture, as well as get to see some things that I found particularly fascinating. 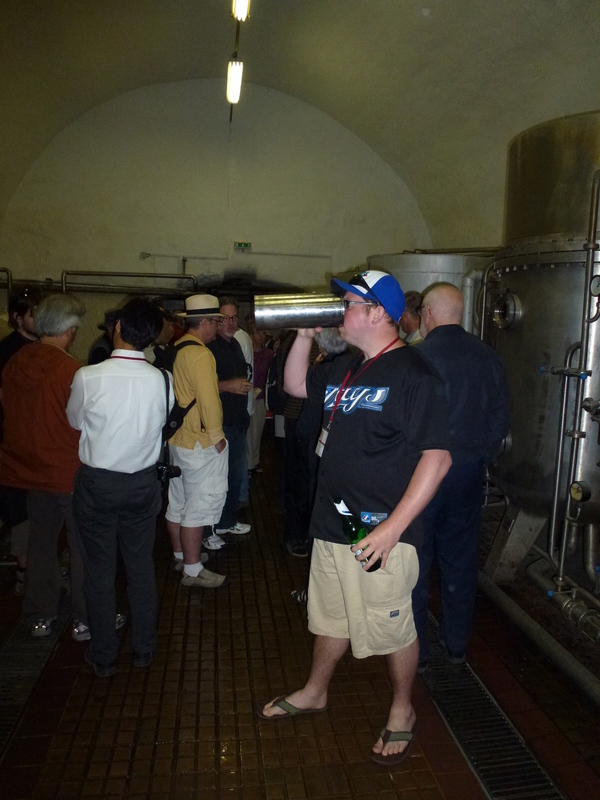 Here is a list of what I learned from my Czech Mates. 1.) Jaromir Jagr is by far the most popular Czech athlete: Despite a long list of great hockey and soccer players the country holds a soft spot for the mulleted one. Our tour guide made sure to point out his home town and Czech national team jerseys available in tourist shops all had Jagr “68” on them. 2.) 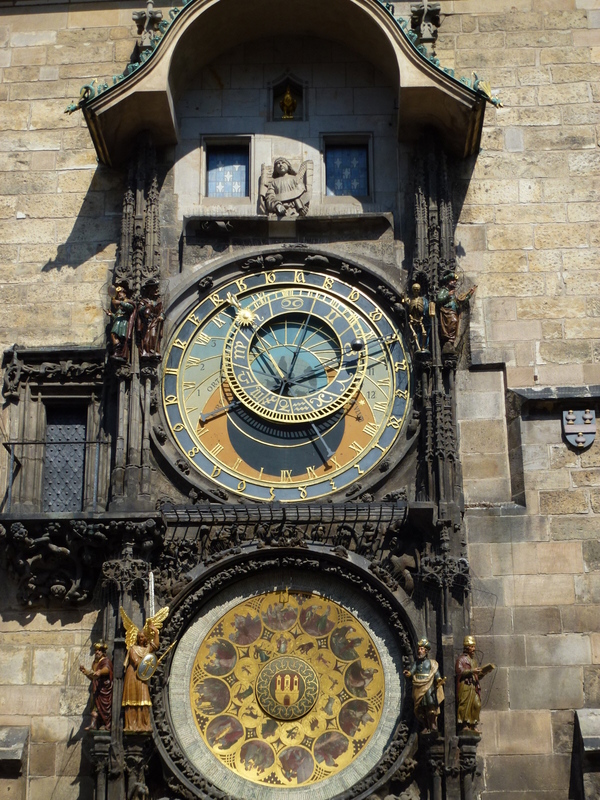 Tourism in Prague is absolutely crazy: The astronomical clock was the peak of the tourist chaos, but anywhere we went we were overwhelmed by North American and Western European tourists. Perhaps its the recent opening up of the city from the Iron Curtain, perhaps its because its so cheap, but it was a very interesting sight. 5.) The best nights are usually the random ones: The Forman brothers hired a Jazz/Folk singer Yael Rasooly to perform for guests as they entered the show. It turned out the Israeli born singer went to school in Toronto and we managed to talk her into giving us a live Jazz Performance on the streets of Telc. 6.) 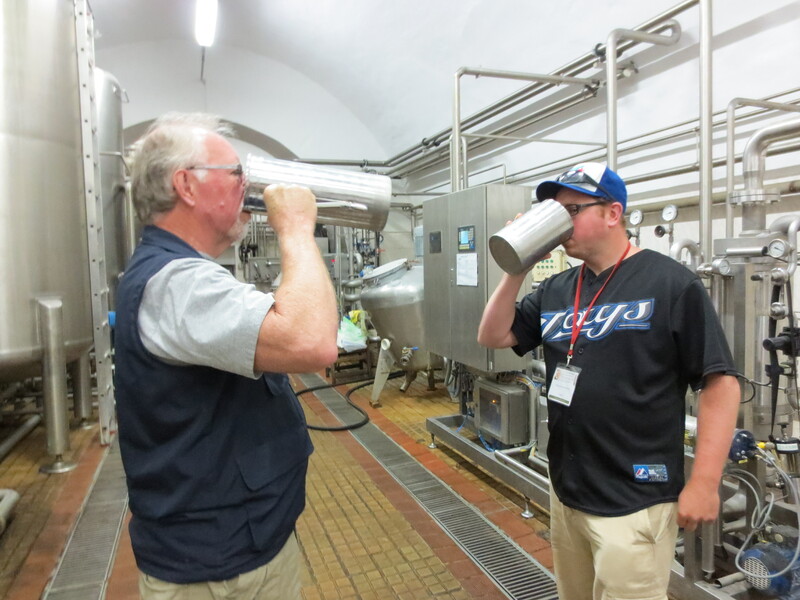 Brewery Tours in Czechia could improve significantly: On our tour of the Samson Brewery we were overwhelmed with technical facts about how to make beer for nearly two hours. The health code seemed non-existent as there was beer all over the ground, the wires ran wildly around and the tasting room was in the actual brewrey. 7.) The street theatre in Prague is quite impressive: From the one man to the six -piece bands, you can’t walk around the Old Town of Prague without hearing some quality music. 8.) 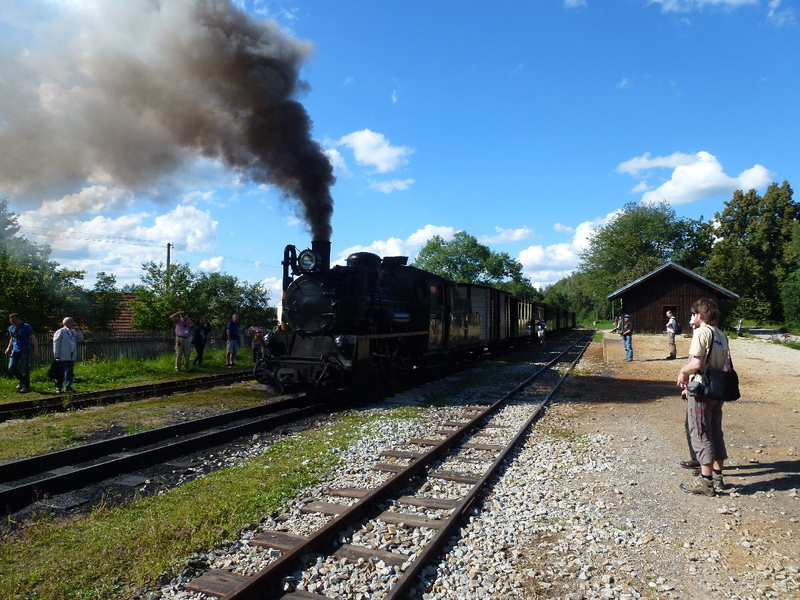 Watching 30 professors sprint towards a steam train is quite entertaining: As a surprise on our excursion we got to see a coal steam train departing. Despite the fact it wasn’t departing for 8 or 9 minutes all the professors (many retired) ran off the bus with their cameras and snapped every picture they could. I got this video of the steam train leaving, something that was close to home for me and Dad, as his father used to work on these trains back in South Africa. 9.) 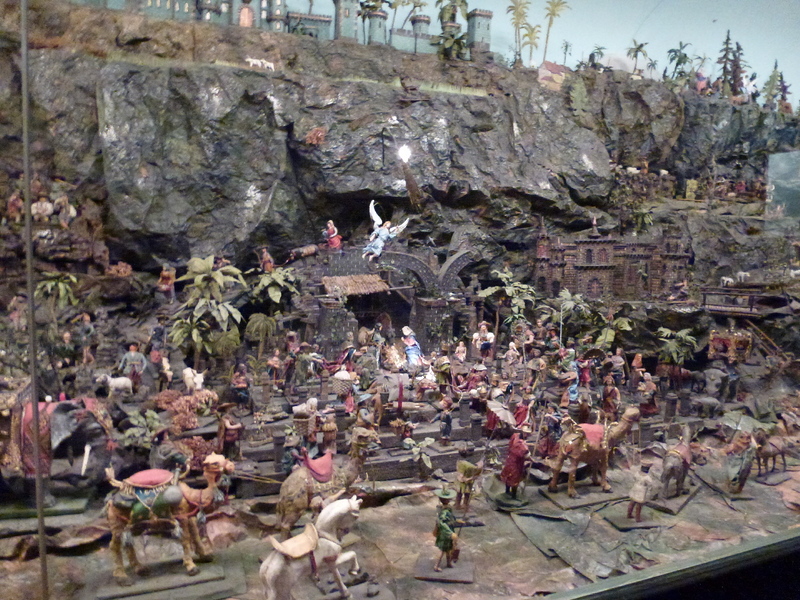 Seeing a hand crafted Nativity scene was much more interesting than I expected: When it was listed on the programme I wasn’t too sure how fun this would be, but as you can see by this video this nativity scene is incredible. It took the creator over 60 years to hand craft it. 10.) 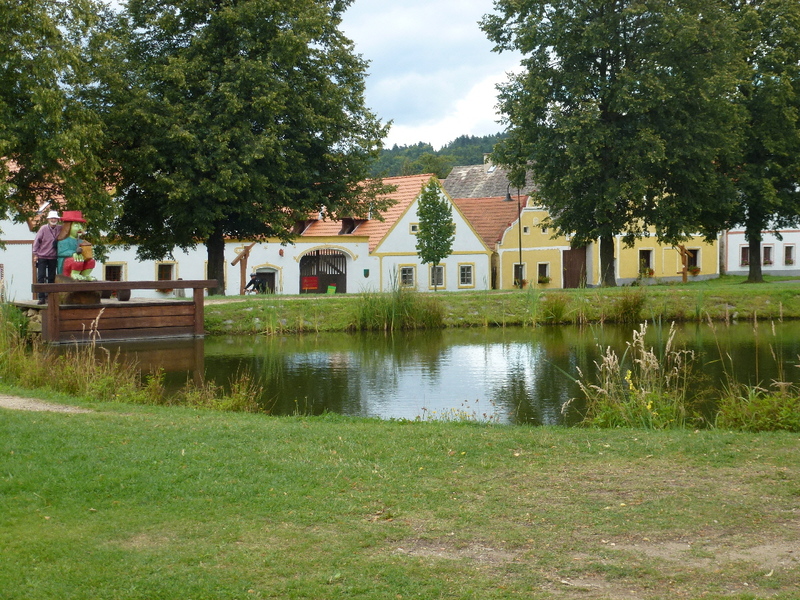 Christmas is not an ideal time for Carp in Czechia: Fish ponds are rampant throughout Czechia and at Christmas time Carp is the fish of choice. These fish are generally sold to families alive and kept in the family bath tub until they are needed to be cooked. The consequence of this is that the kids often get quite attatched to the fish and are usually quite devastated when they are killed prior to Christmas dinner – usually with a club to the head. 11.) The currency in the Czech Republic is still the Koruna: Having not done a ton of research before I left (see the note below as to why) I had been expecting to use the Euro as I had done in Slovakia in February. The move to stick with the Koruna is looking smarter and smarter as the Euro continues to struggle. 12.) 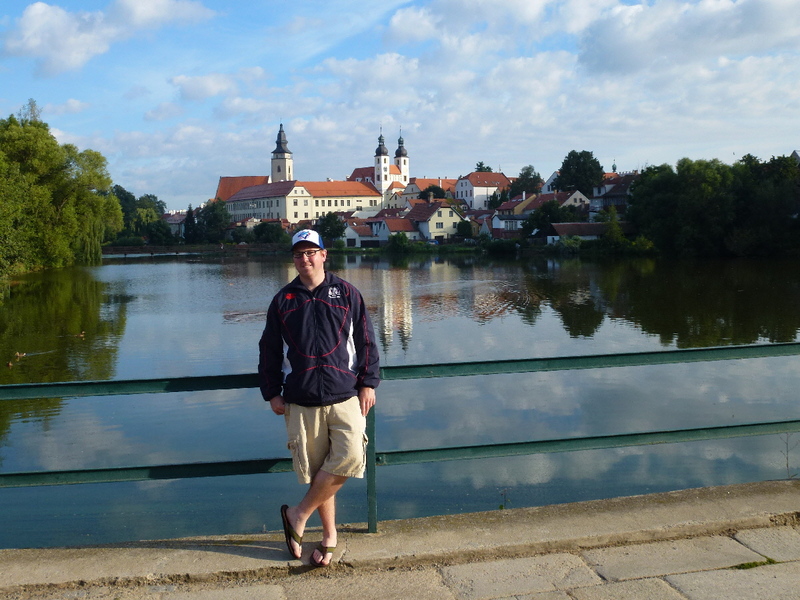 Going from being extremely into the Olympics to not even paying attention was really weird: I spent the week before I left soaking up the Olympics and attending events, when I got to Prague the Olympics were all of a sudden the last thing on my mind. It was weird leaving halfway between, but I think I got the better of the two weeks in London! 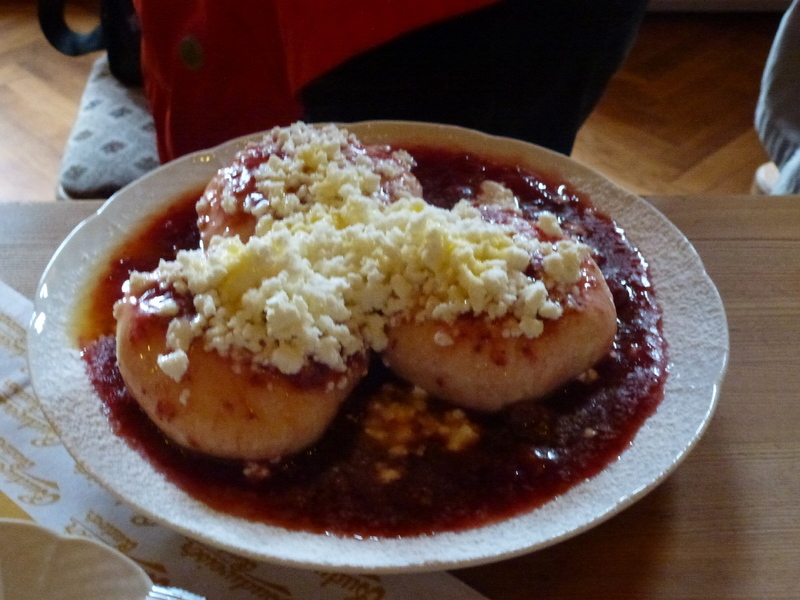 Please look at the pictures for more things I learned in Czechia! 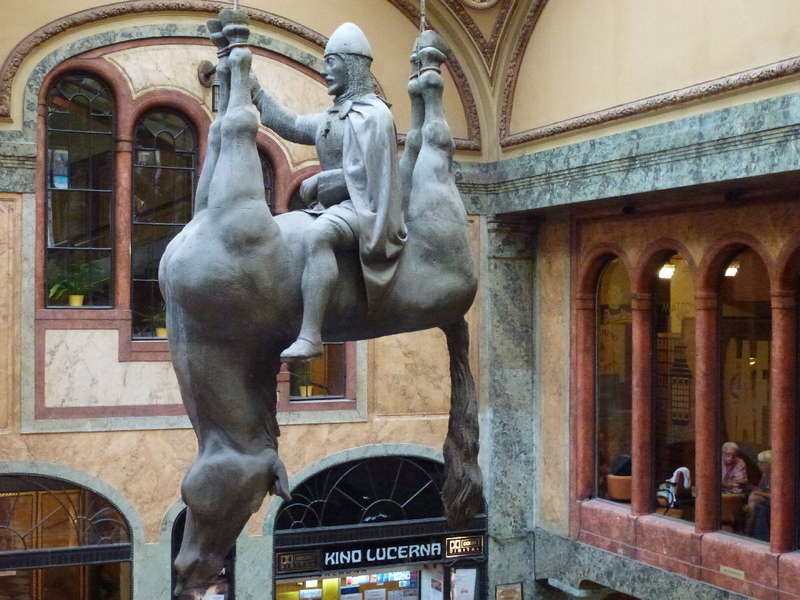 One of the things that excited me about moving to Europe was the rich history of the continent. The place is filled with fascinating architecture and a wide array of facts about how a particular city, region or country has changed over hundreds of years. This year I have had the opportunity to explore a little bit of the history of this wonderful continent and it has really rejuvenated my passion for history and for teaching. 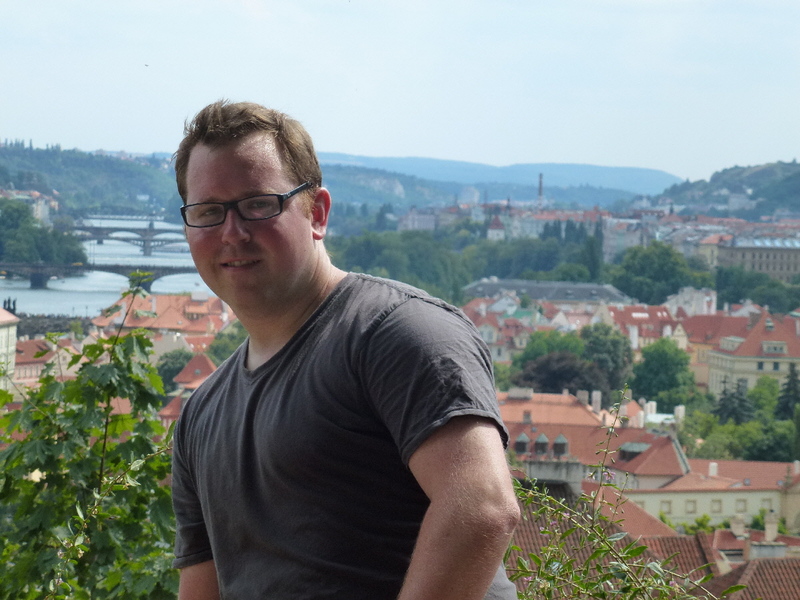 Every time I visit a country in Europe I find myself wanting to go to several others to learn more about the history and to actually see the places I spent so much time learning about at the University of Guelph. 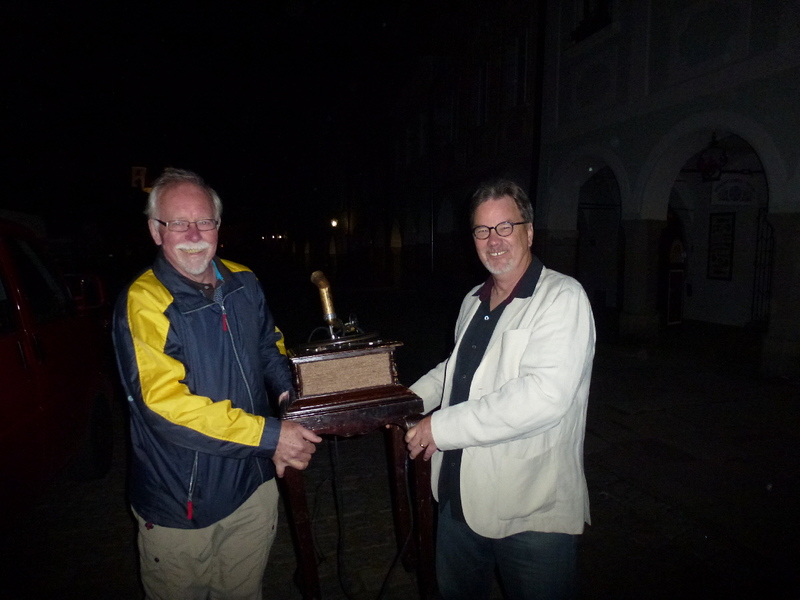 During my time in the Czech Republic I was fortunate enough to be included on two excursions as part of the International Conference of Historical Geographers. 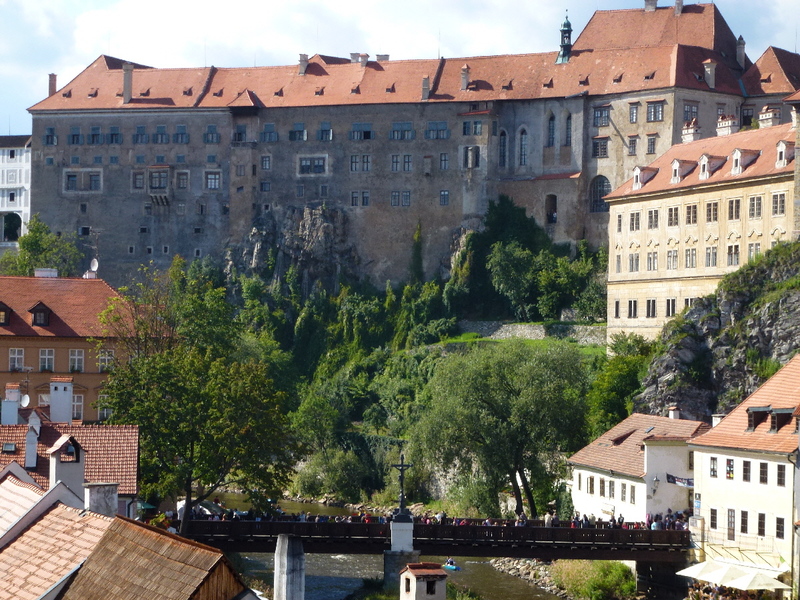 These excursions offered some striking insights into the the history of the Czech Republic and allowed me to see a lot of the country. As you can see in the pictures below, many of the towns we visited are still dominated by buildings erected during specific eras in the past. 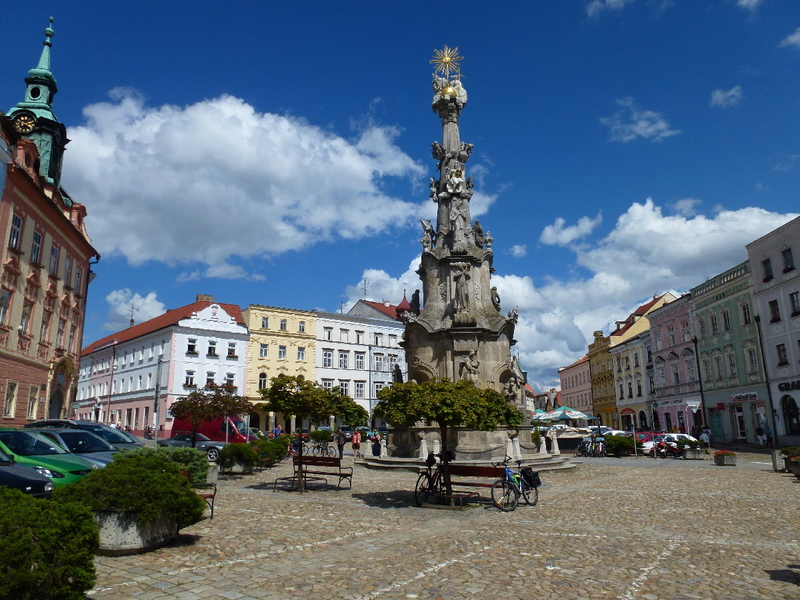 Standing in the square of Telc or Cesky Krumlov, or in the UNESCO heritage village of Holasovice, it is easy to believe that these places have changed very little in hundreds of years. Old buildings, stunning architecture and few signs of recent change suggest that one has walked into a living museum or stepped back in time. 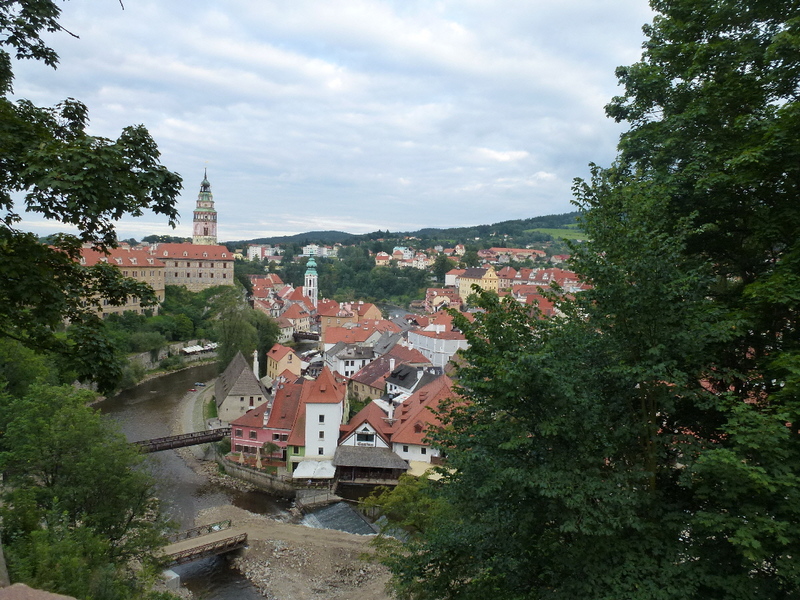 But what these landscapes don’t reveal, at least to the first glance or the typical tourist (fixated on the astronomical clock I mentioned in the last post) is the political and military turmoil that had occurred in this territory through the last century. 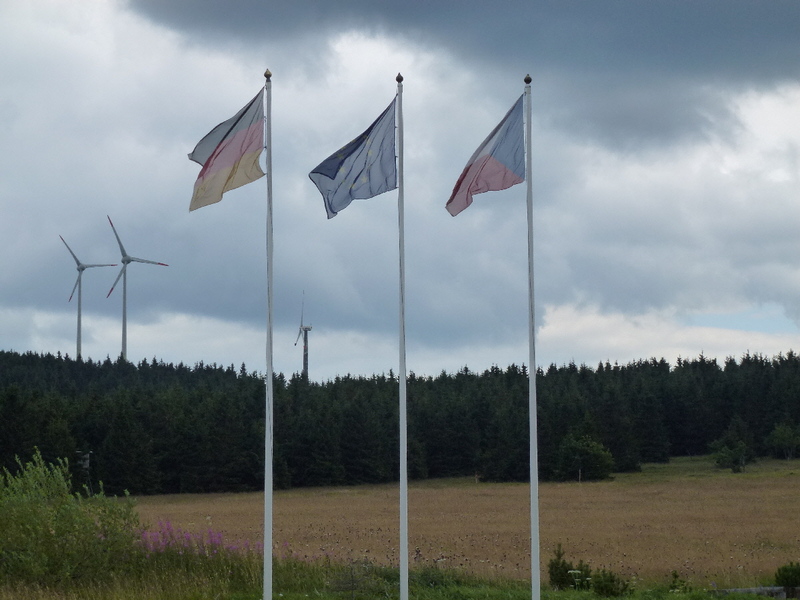 On our first excursion we went north west, to an area formerly know as the Sudetenland, to have a look at some of the border towns along the Czechia/German border. 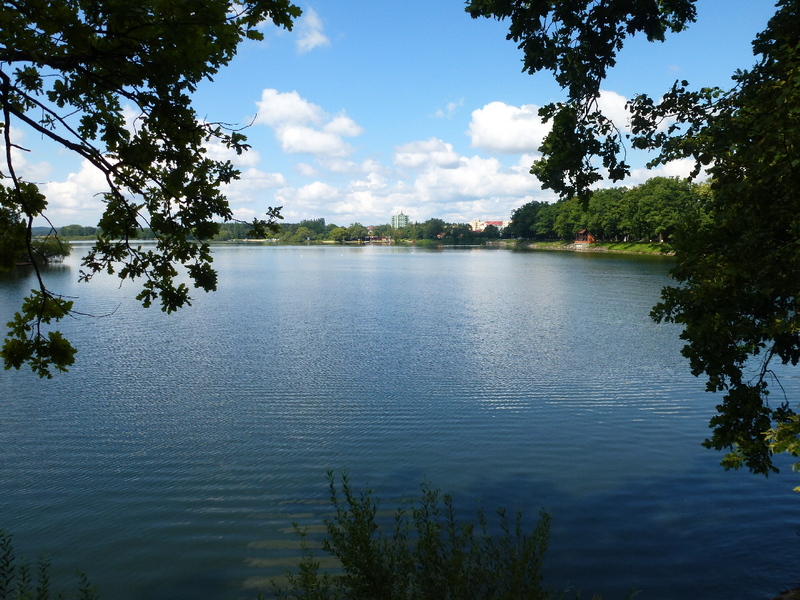 Guided by a young, knowledgeable Czech couple, our first stop was Prisecnice, a town that once had a population of 2,500 but was now located at the bottom of a resevoir, destroyed because it was never repopulated after the Second World War. 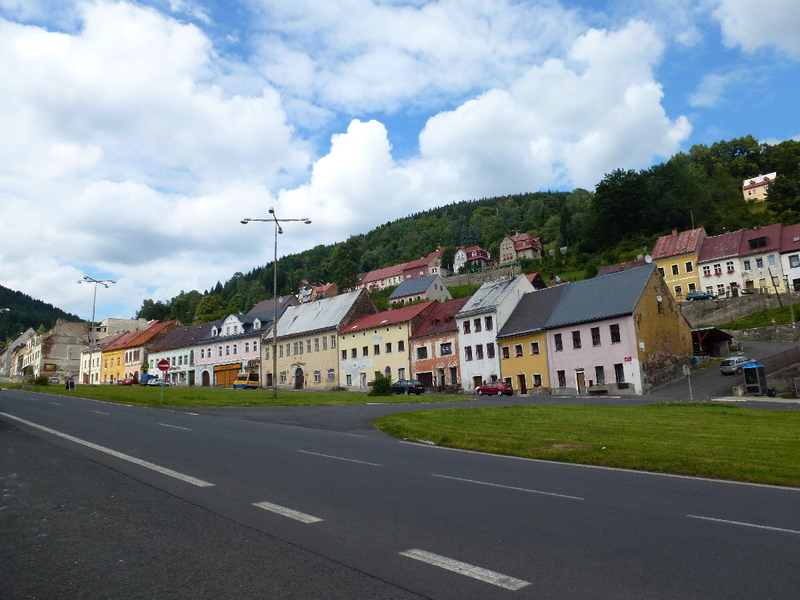 We quickly discovered this would be a common theme of our trip as the repopulation of the Czech Germans resulted in the loss of approximately 3 million permanent inhabitants and in the depopulation of a large portion of mountainous and agriculturally unfavourable areas. 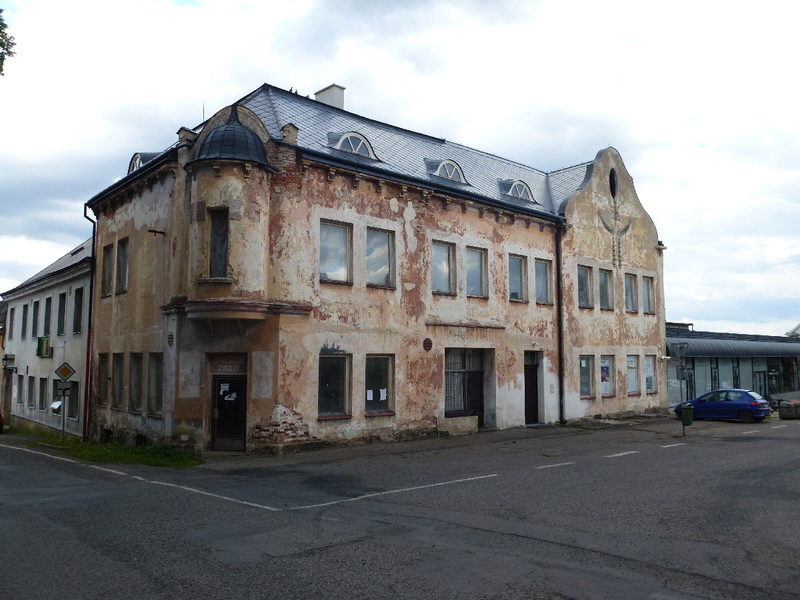 Prisecnice was one example of more than 1000 villages that have disappeared since the Second World War. As we continued on our excursion we discovered that some of these towns had made efforts to reinvent themselves. 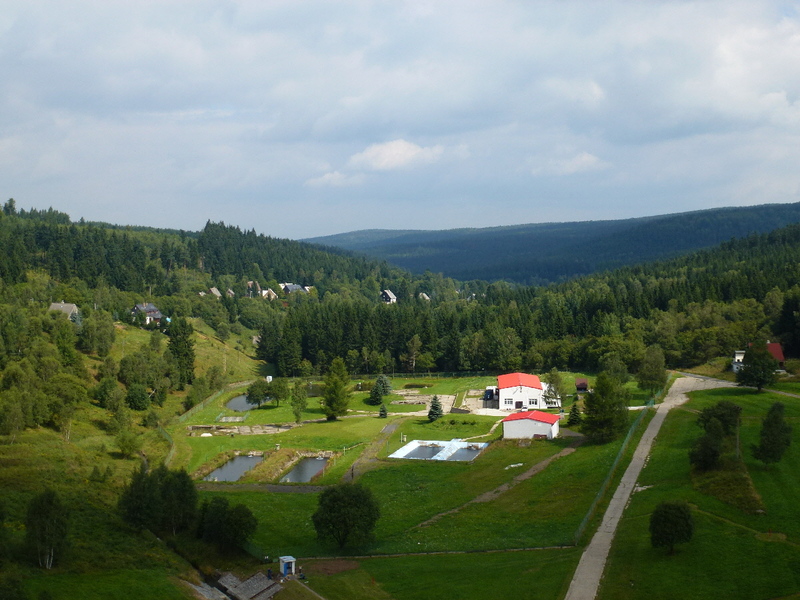 Located in the Czech mountains Bozi Dar had transformed from a 19th Century mining town to becoming almost uninhabited in the post World War II era, only to be redeveloped in the 1970s as a winter sports centre. 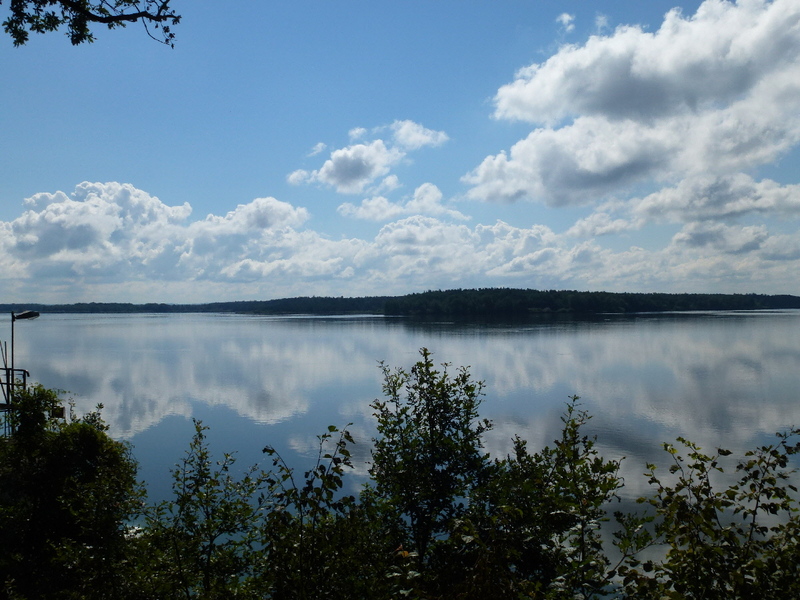 While this has allowed the town to survive, the number of year round inhabitants has dropped significantly to only 200 as of 2011. 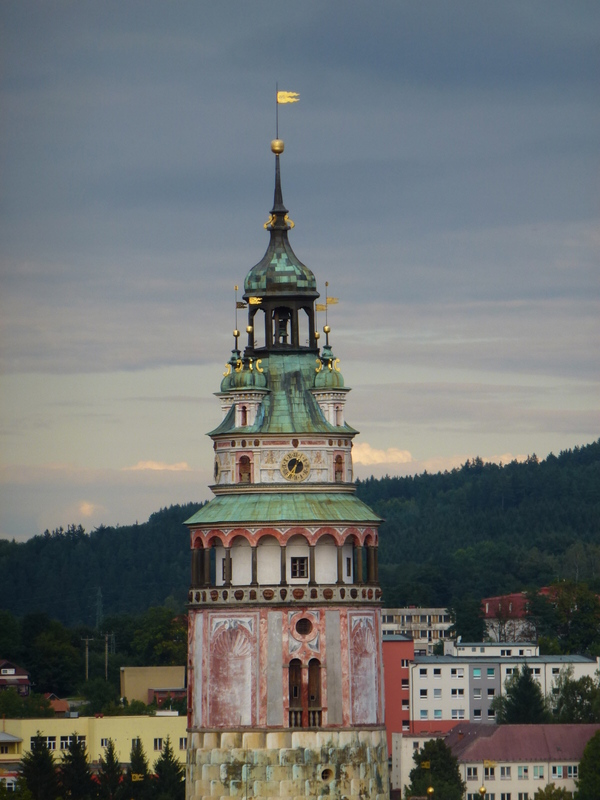 Another example is the town of Jachymov, where large deposits of silver were discovered in the beginning of the 16th Century. 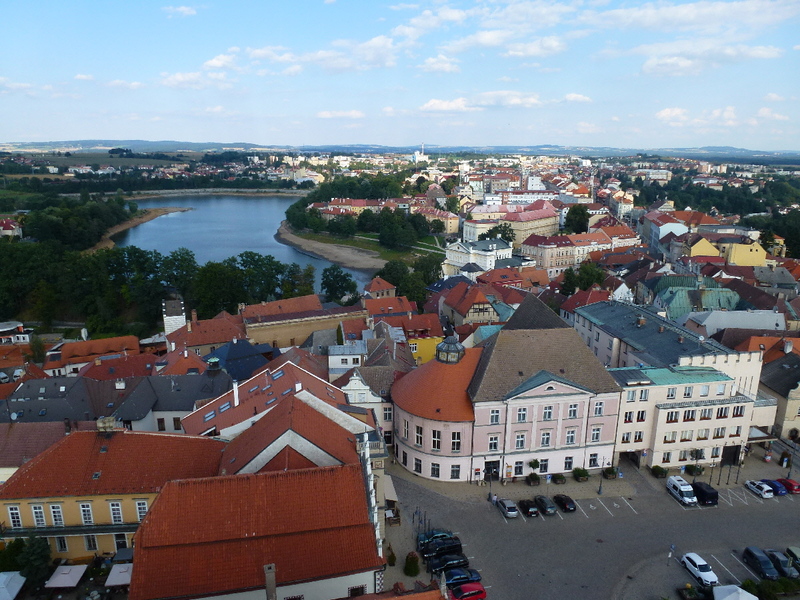 This became the second largest town in Bohemia through the 16th and 17th Century but because of the political and military strife of the 20th Century the population has rapidly declined. During the 1950s Jachymov survived as a location for labour camps for political prisoners of the Communist regime and became a closed town. Although almost 65,000 people passed through these camps during their exsistence the towns population continued to decline and now the town of 3,000 people has reinvented itself as a spa town. 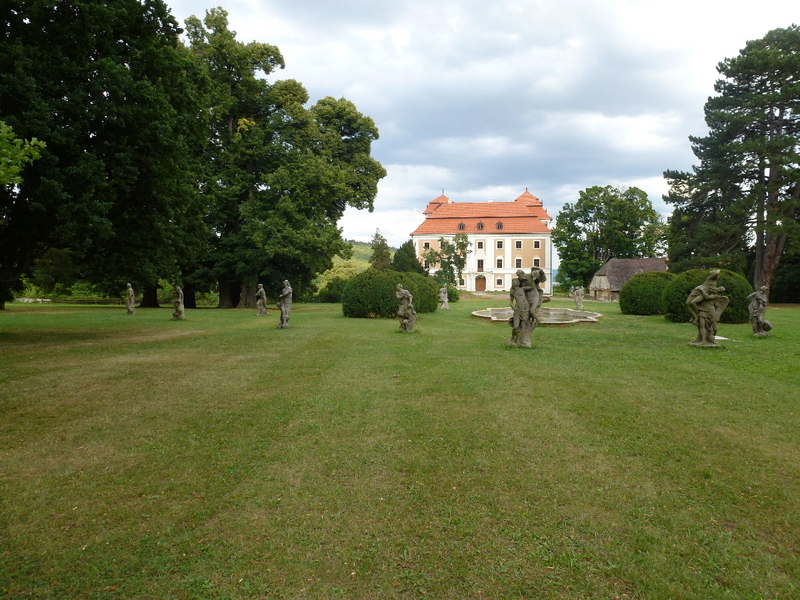 Perhaps the most interesting example we saw of the impact of Czech German relocation occurred in Valec, a small Baroque town rich with beautiful statues and a gorgeous park. The statues and historical buildings in this town were in the process of being kept up with European Union money, but the interesting juxtapostion in this town was the condition of the houses. As you can see in a couple of the pictures below, the monuments and the chateau were upkept beautifully while the houses appeared to be on their last legs. 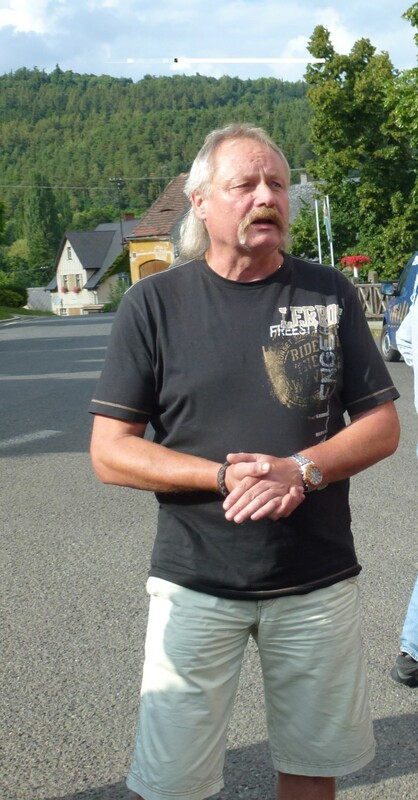 We got the chance to meet the mayor of this town (who looked much more like an old Czech hockey player than a politician, with his flowing mullet and fu manchu) and he explained to us the difficulties of trying to rejuvenate a town on the Czech German borderlands. 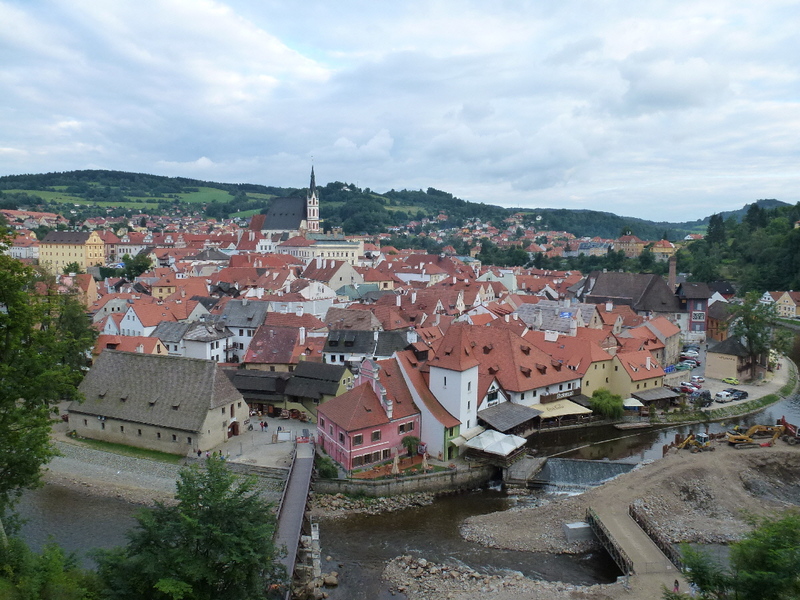 Our second excursion, a three day journey around the wonders of Southern Bohemia, gave us a bit of a different perspective on Czechia and the development of towns around the south west portion of the country. 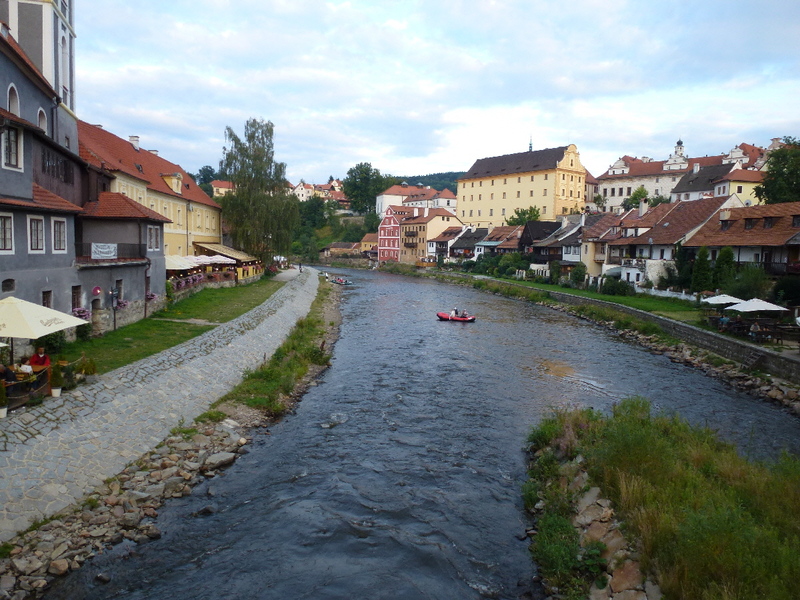 The most intriguing part about towns such as Pisek, Jindrichuv Hradec, and Ceske Budejovice was despite the fact they are still densely populated towns the architecture does not reflect the changes in the Czech lifestyle throughout the last century. 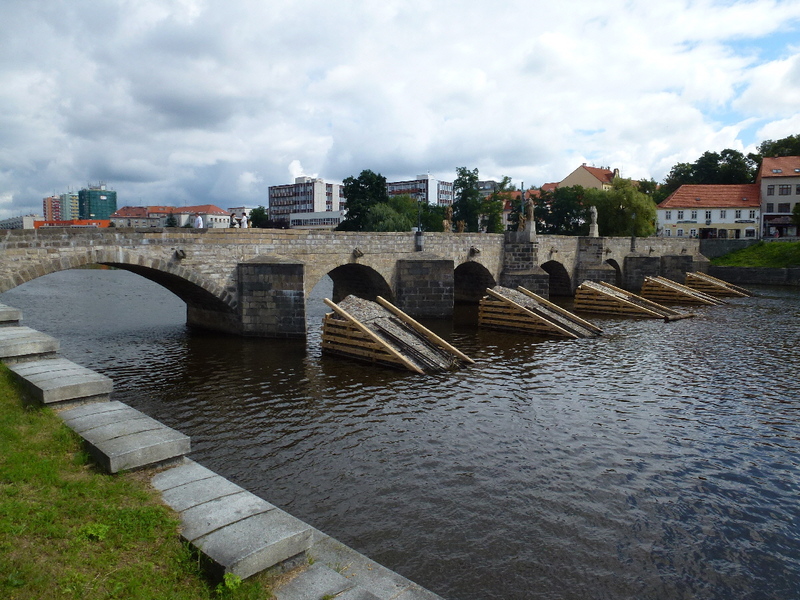 These towns, along with the others we visited (mentioned above), were typically European in the sense they were all connected to the Vltava river and centred around a square but were also designed in a specific period of time and have remained that way through all the turmoil of the 20th Century. 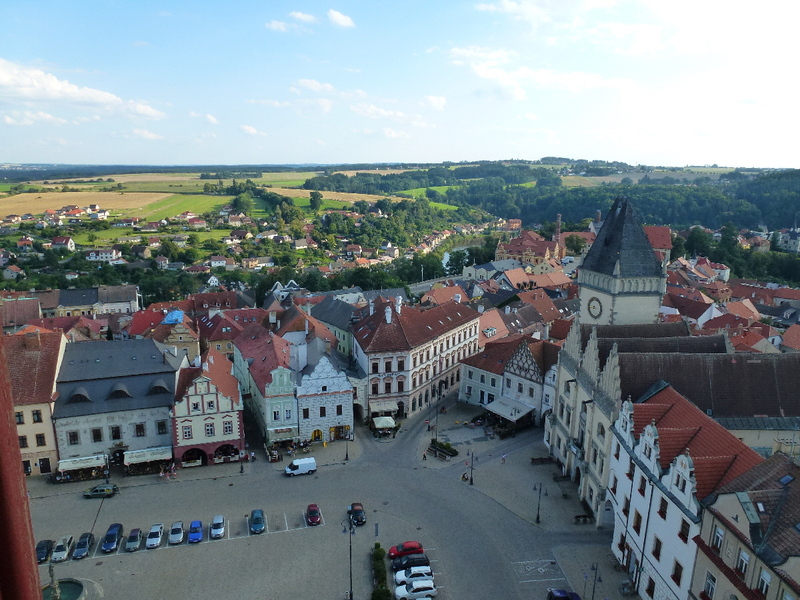 Baroque and Renaissance architecture are prominent throughout Southern Bohemia, and these towns have been kept up in this fashion. 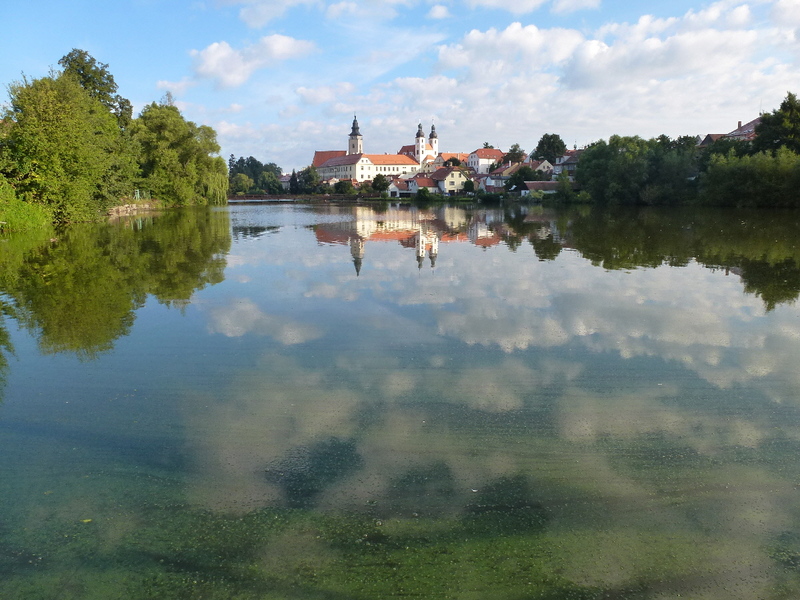 The one exception to this was the town of Tabor, located about 90km south of Prague. 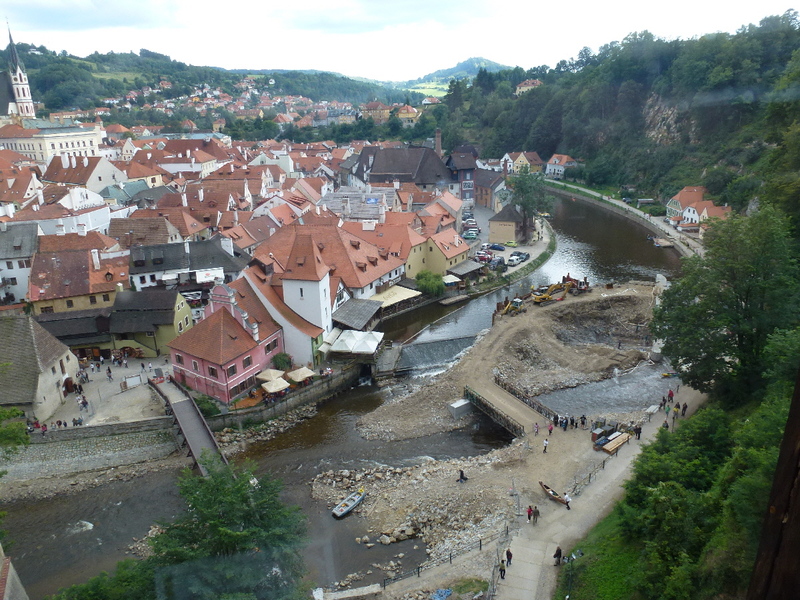 This was the home town of Michal, the younger of our two tour guides on the second excursion. As we walked into the centre of this town I mention to Dad that this was easily the most livable town I had seen on our excursion. 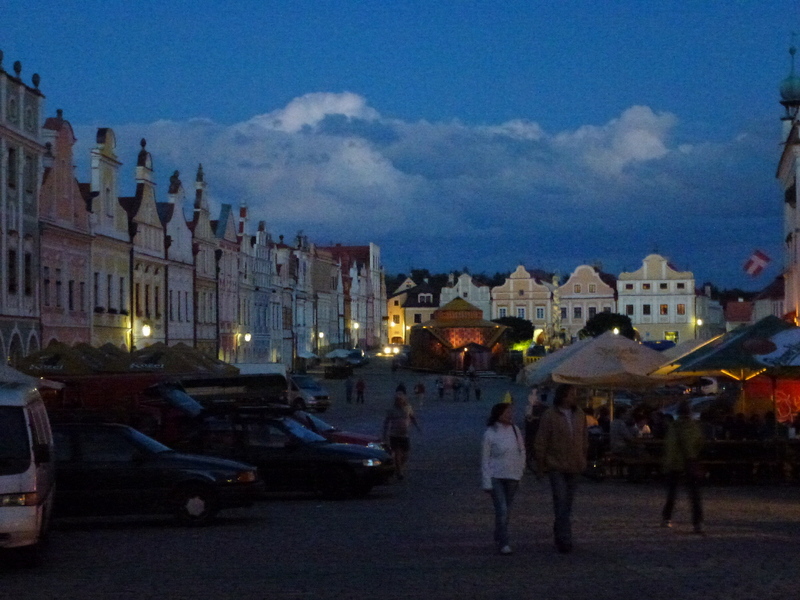 Although there were some Baroque and Renaissance style buildings the town had buildings from every era right up to the current, post Communism, time period. Throughout the trip Dad and I had noticed a significant difference in attitude between Michal, and Marek, the older tour guide. Marek was brought up in the Communist era and it was very clear he preferred not to discuss things such as the Prague Spring or the Velvet Revolution. 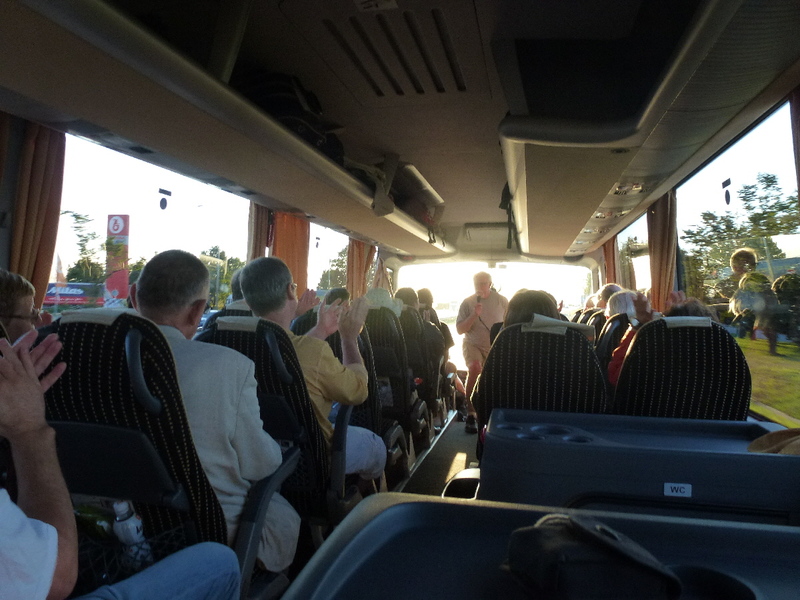 He mentioned to the tour group that this was quite common even today in the education system. Teachers, who lived through the communist regime, had a tough time teaching it and often overlook that era when teaching the history of their nation. Michal was much more open about his life growing up and we noticed that his english was also much more fluent than his older colleague. 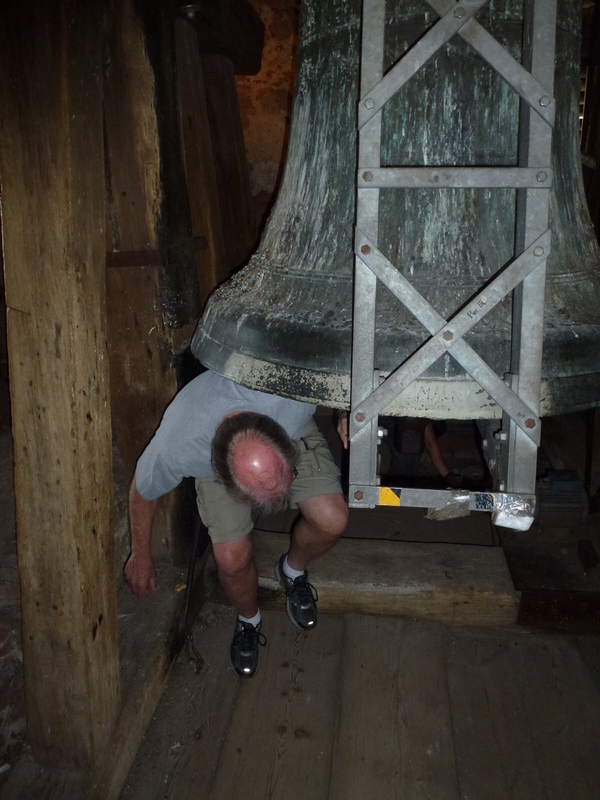 While Marek did a wonderful job on the tour, it was clear he had not learned english at a young age as Michal had and he struggled with a few terms. 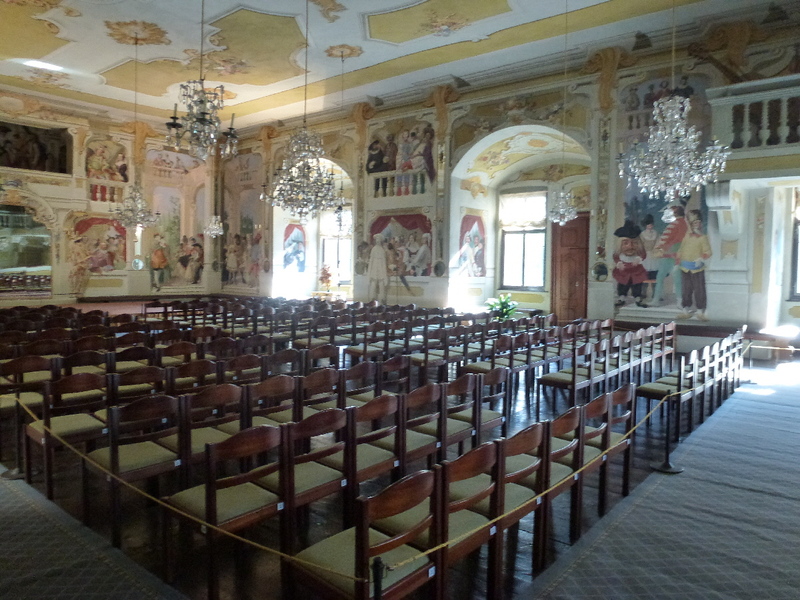 While Czechia is a place filled with a history of political and military animosity it would be very difficult to tell that if you were unaware of the history. The architecture has been restored rather than rebuilt and the towns really do feel like something out of the 15th, 16th or 17th Century. The irony of course is that while there is all this history in Czechia a lot of it is only just being uncovered in the last 20 years. 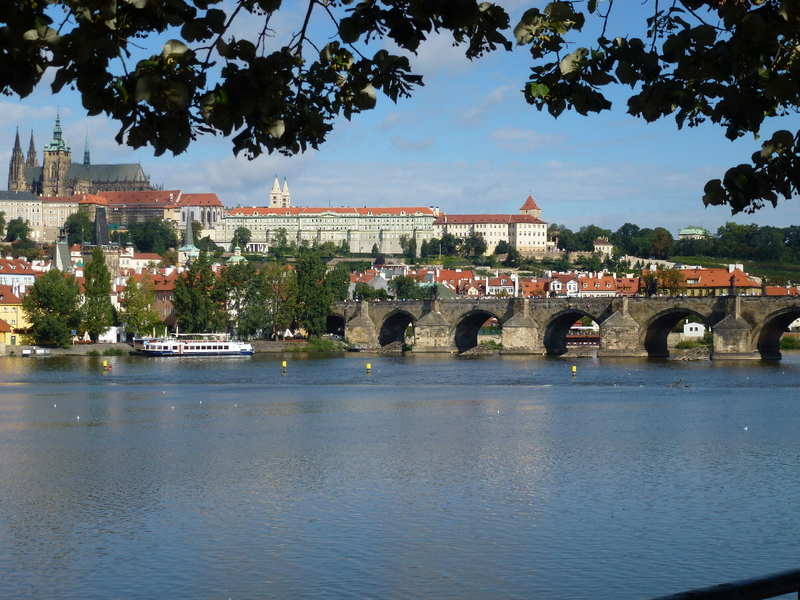 Tourism is rampant in all of Czechia (Prague in particular) because it has only recently become accessible to the world outside of the Iron Curtain. As we get further removed from the communist era I predict much more will be uncovered about the history of the country and the architecture will move forward rather than standing still. 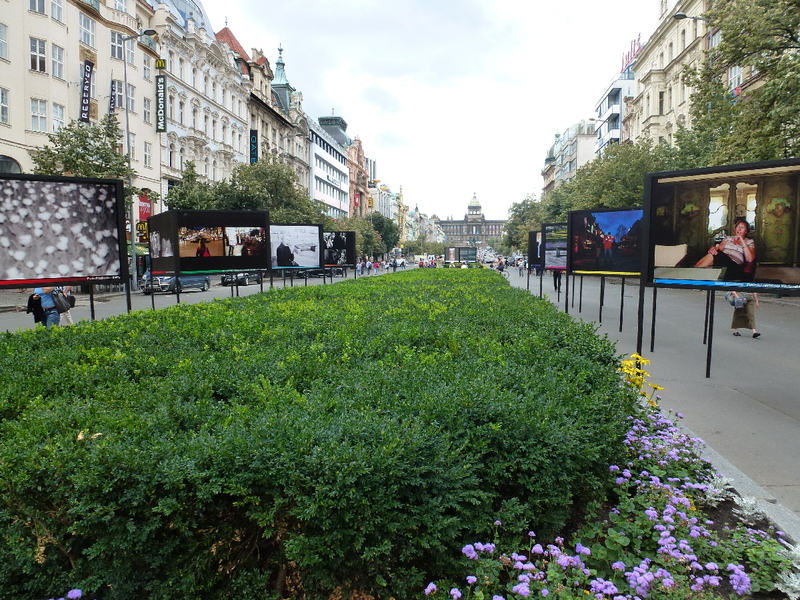 It would be very interesting to do a similar tour in 30 years and see just how much has changed throughout Czechia. It was approximately 10:30 AM when I landed in the Czech Republic. It had been a long day as I had spent the previous Sunday watching the Olympics in Hyde Park and through the middle of the night had made my way to Luton Airport to catch my 7:30 AM flight. As I made my way from Terminal 1 over to Terminal 2 I realized that my day of travel had been nothing compared to my father who I was about to see. 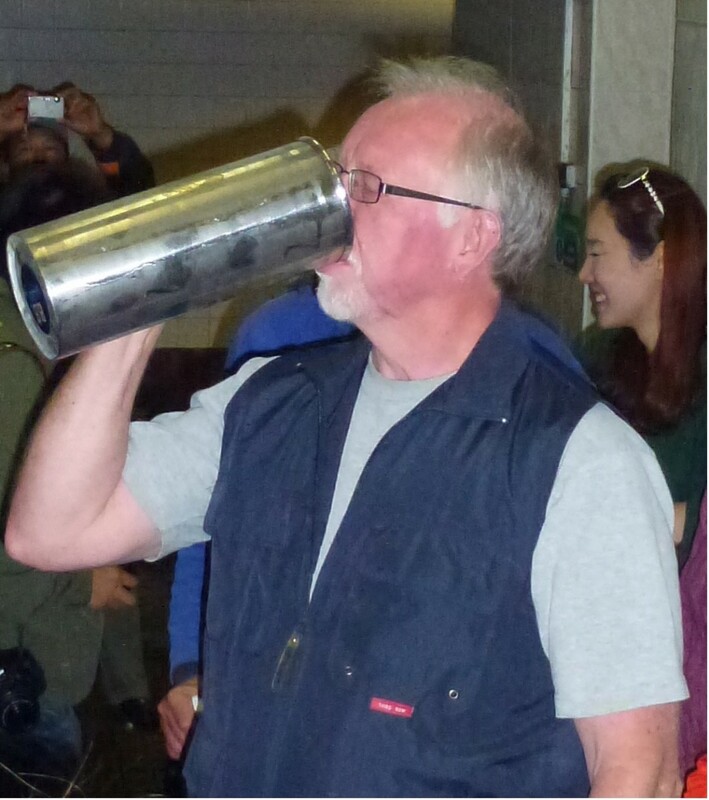 Dad, arrived in Prague after a 21 hour journey from Vancouver via Toronto and Frankfurt. Although it was a long day for both of us, heading to the Czech Republic was very worthwile and the 8 days we had there were memorable. I plan to break up this trip into a few posts that I hope you will enjoy. 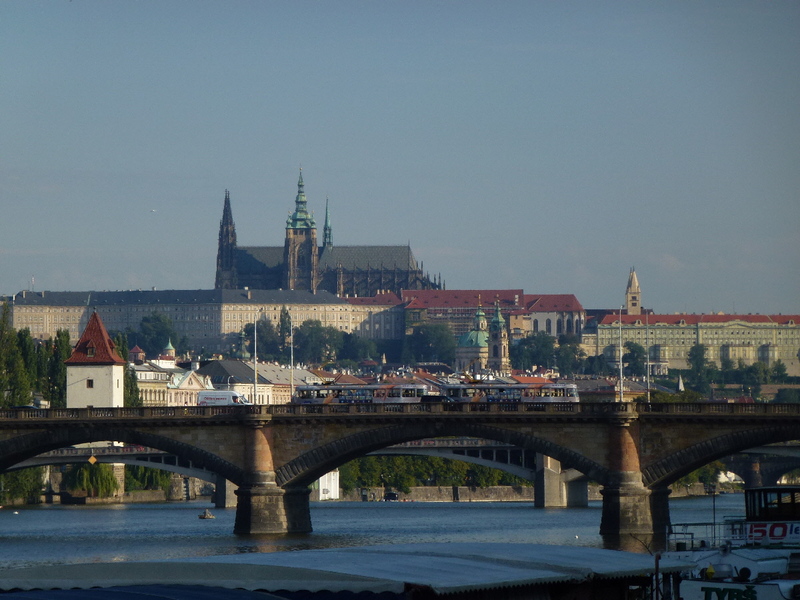 The first entry will focus on the 4 days I was able to spend in Prague. 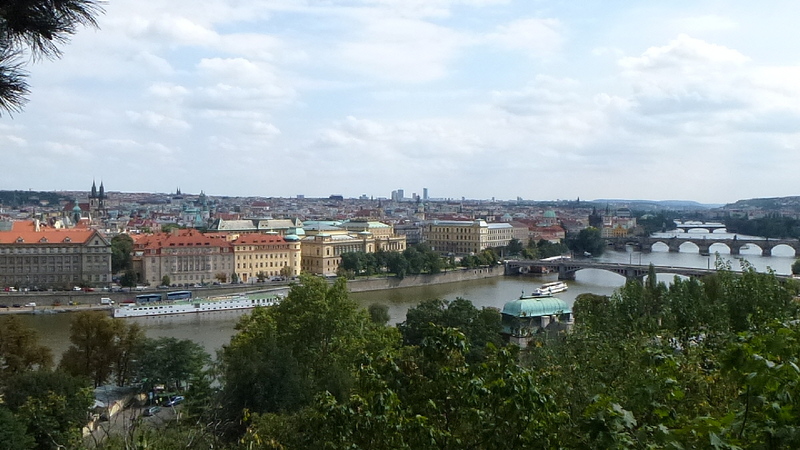 Dad and I were able to meet up in Prague because of the International Conference of Historical Geographers being held at Charles University and because of this we were able to experience things other tourists may have missed. 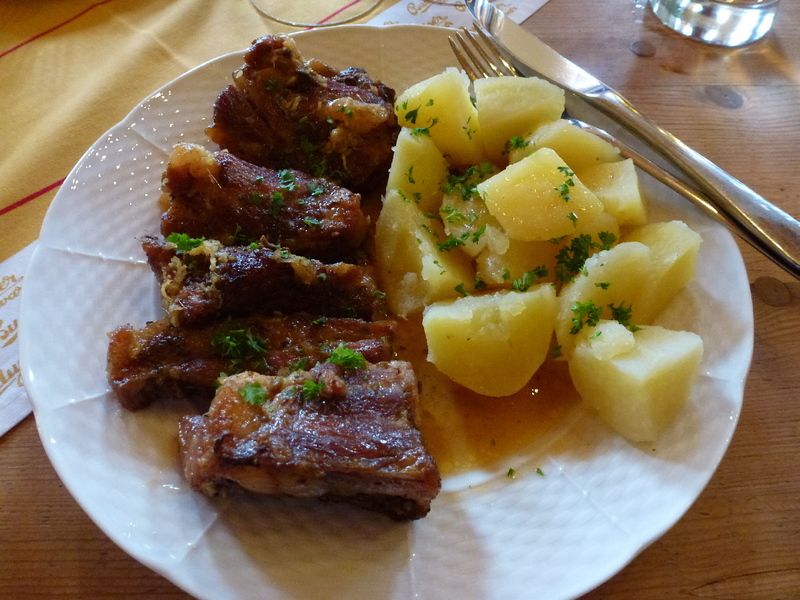 This began with a boat cruise down the Vltava river on our first night and ended with a traditional Czech dinner near Prague Castle where we filled up on traditional Czech food and beer. 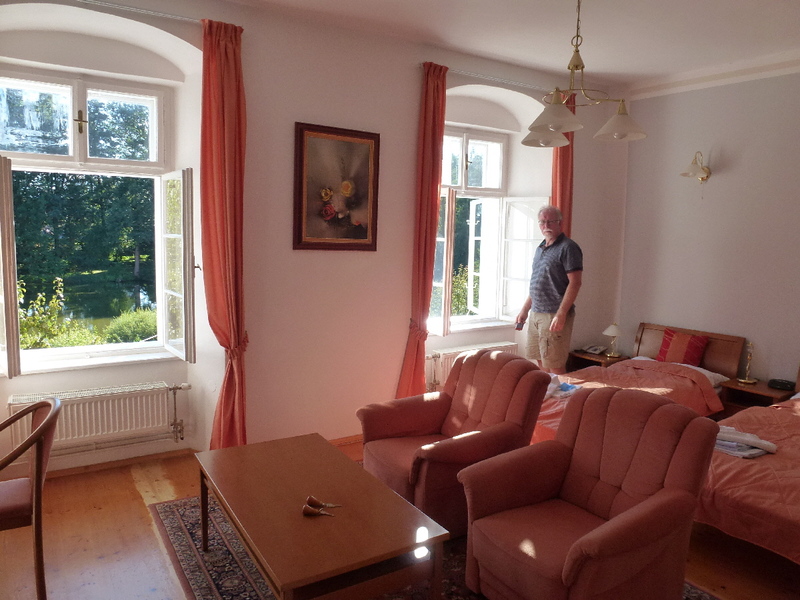 Because Dad was there for work I spent most of the days touring Prague on my own. Fortunately it is a very easy city to navigate as most people speak English and the layout of the town is relatively straight forward. 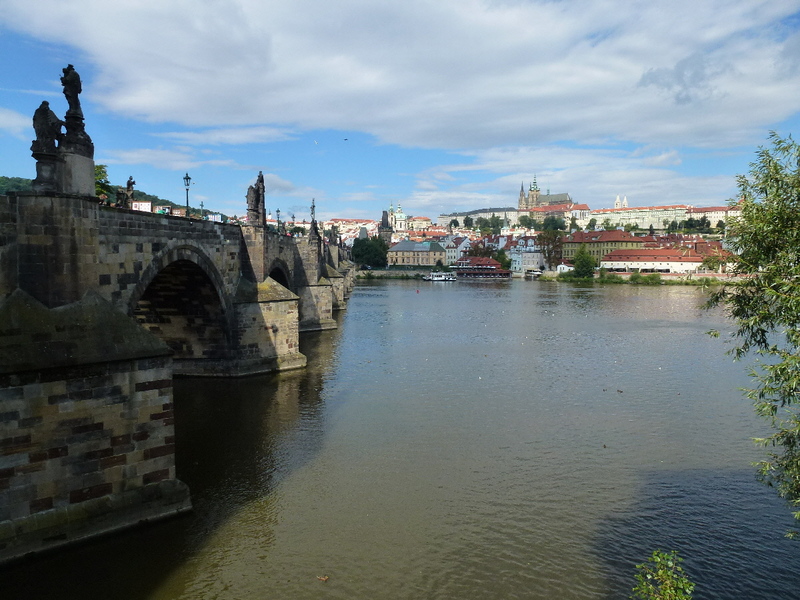 Our hotel was located just south of Old Town which allowed for a beautiful walk every morning down the Vltava river, past the Charles Bridge and into the Old Town square. 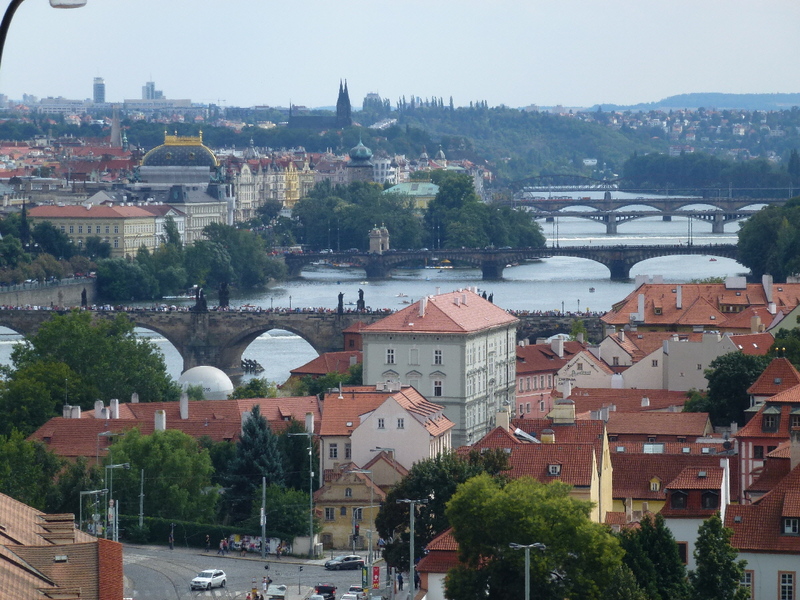 Although Prague is a city of 1.3 million people it is one that is extremely walkable. 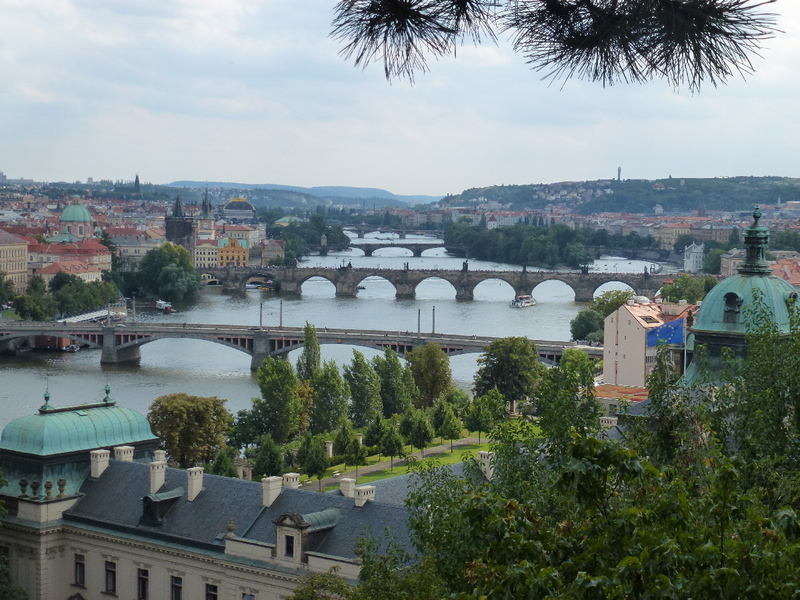 The journey up to Prague Castle is filled with gorgeous views and the fact it is centred around a river makes it very easy to not get lost! 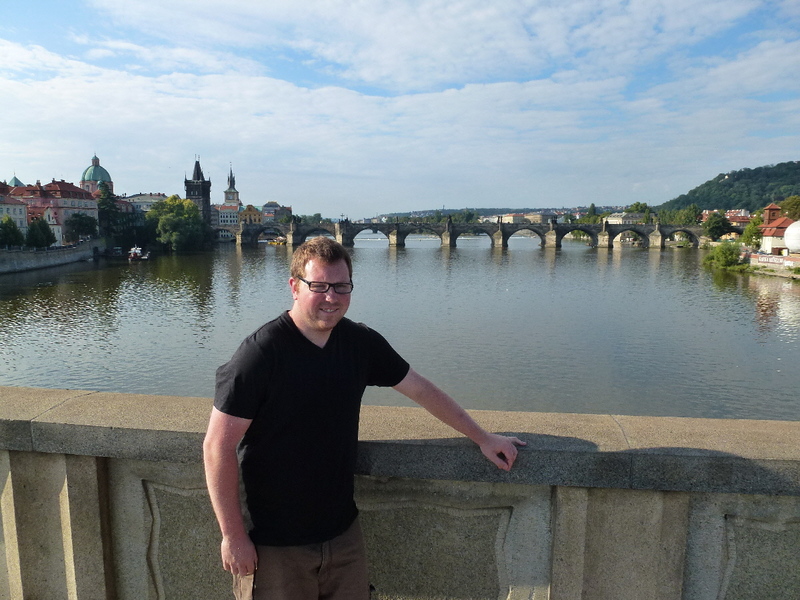 I spent the majority of my time just exploring the city, and learning what I could about the Czech culture. 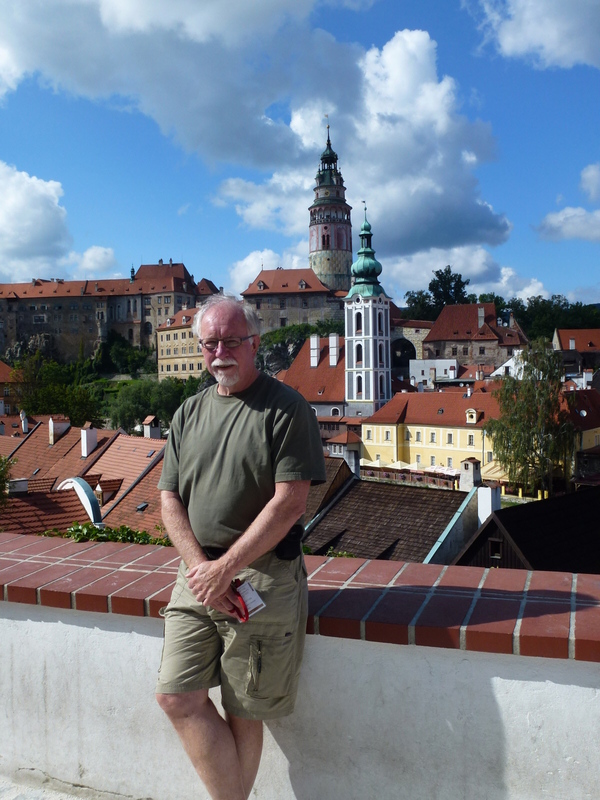 Dad was able to join me one morning for a few hours of sightseeing so we decided to go to the Jewish Quarter, the smallest district in Prague. This was a very emotional experience because of the past history of the quarter. 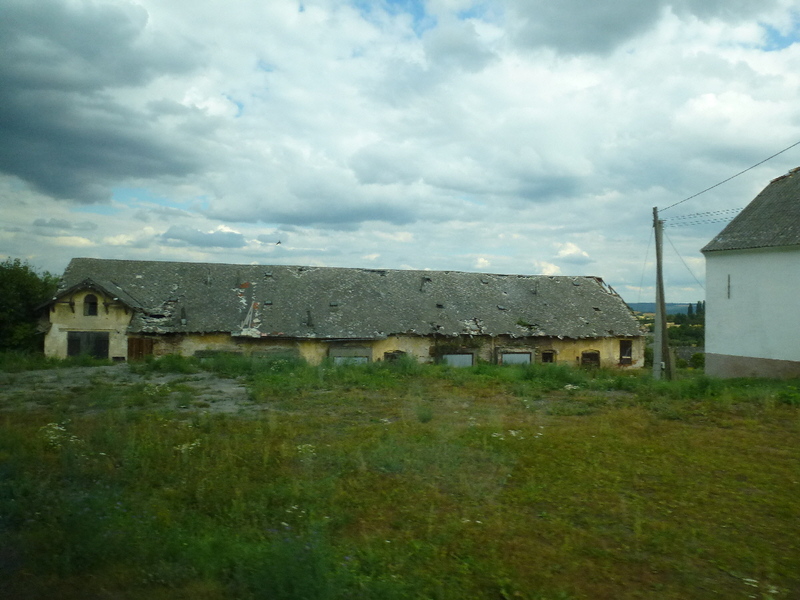 During the Second World War there were 92,000 victims taken from this area and sent to Concentration Camps throughout Eastern Europe. 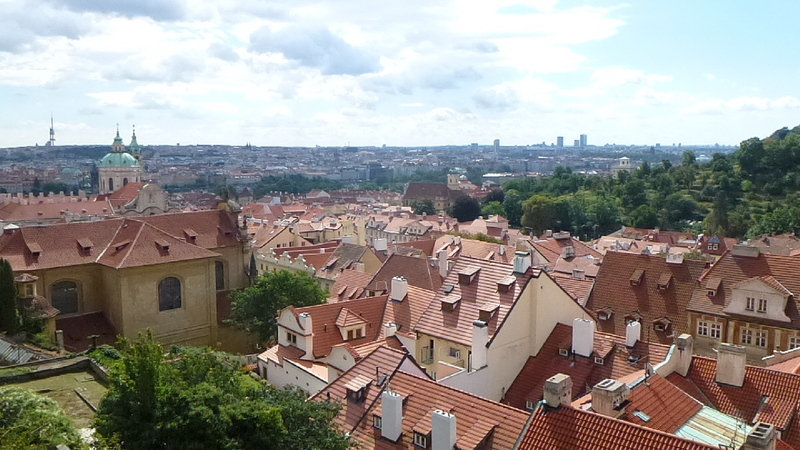 The area is filled with synagogues that provide information about the Jewish culture and the history of the Jewish population in Prague, something that interested us both greatly. The Jewish cemetery is where the size of the atrocities in the second world war really hits home. 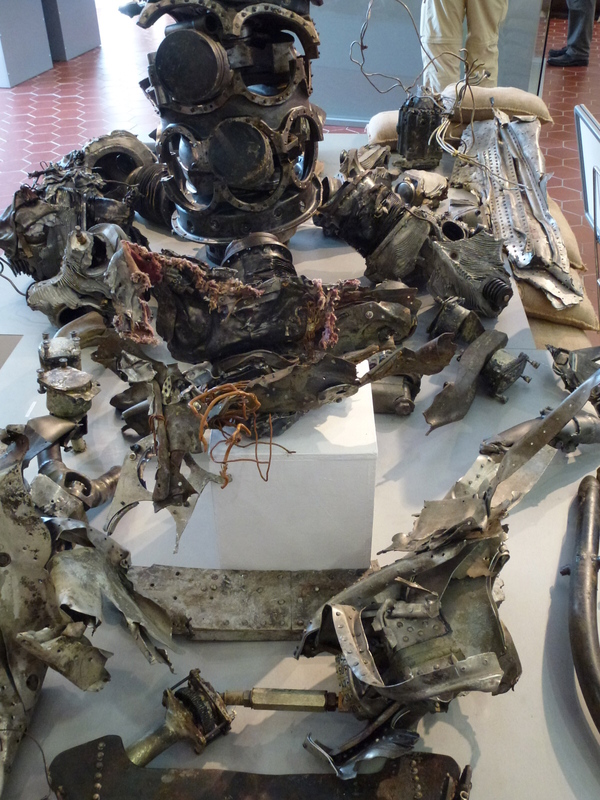 When we entered the memorial building at the cemetery we were both taken aback by the display. It was very simple, the names of all the 92,000 victims on the wall. Upstairs were drawings from children who suffered through the holocaust, another thing very tough to look at. This was followed by a trip to the actual cemetery which shows just how densely populated the Jewish Quarter truly is. 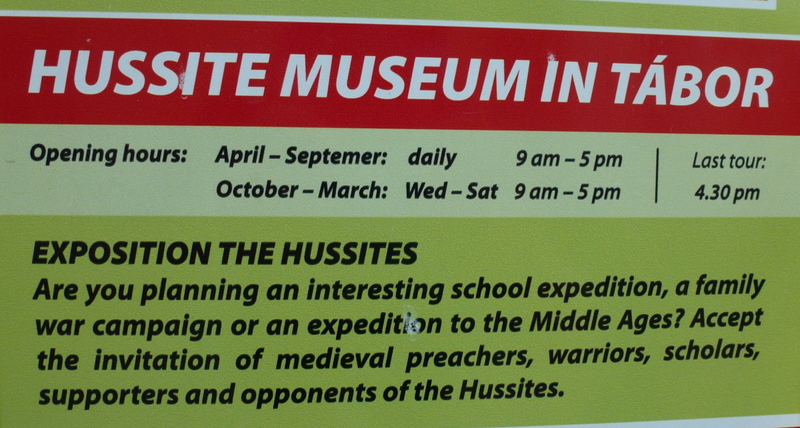 It wasn’t the funnest morning, but well worth seeing, especially for a history teacher like myself. Following the few hours in the Jewish Quarter Dad and I rushed over to Old Town square to watch the Astronomical Clock go off when 11:00 AM hit. 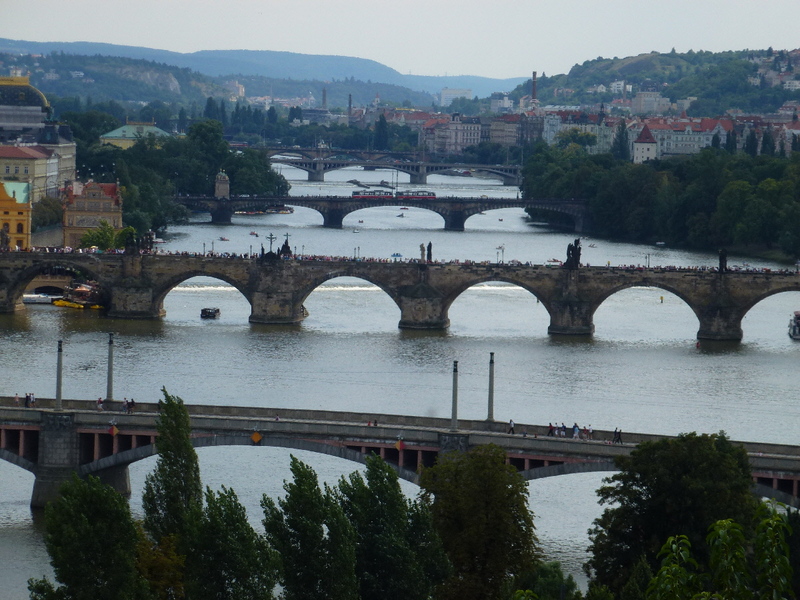 While this was a sight to see, the true amazement for Dad and myself was the incredible amount of tourists in Prague. This is a common theme throughout the city and it is quite astonishing to see the price increases as soon as you enter the square! The price for a meal in Old Town square compares to London pricing, but if you walk outside of the Old Town you can get that same meal for 1/3 of the price! 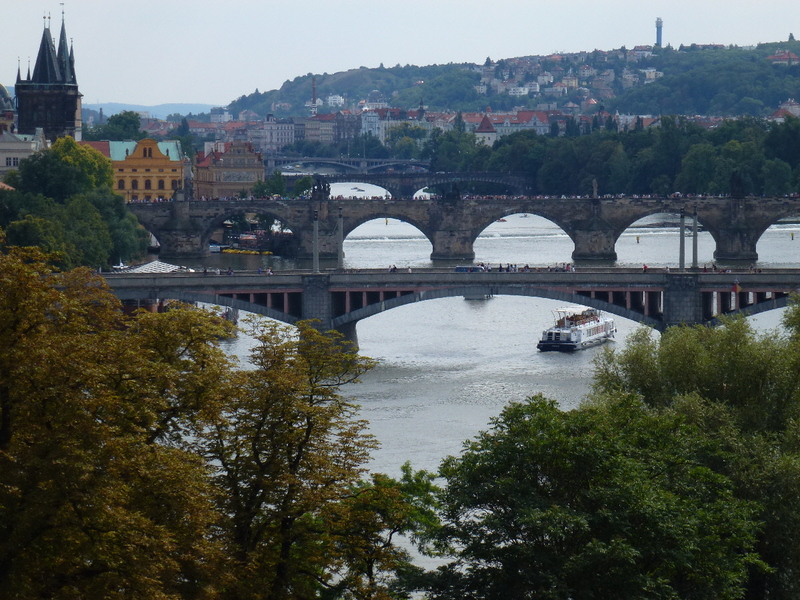 Prague is a city that lends itself to the photographer and I have tried my best to take a few shots of the city. I hope that you enjoy them! 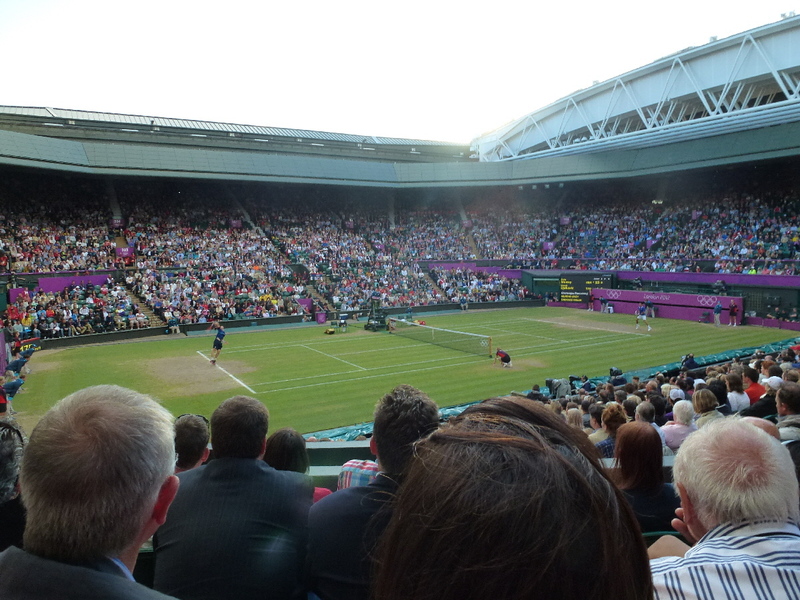 When I bought my Olympic tickets nearly a year ago the main selling point was that I would have the chance to experience the famous courts of Wimbledon. What I wasn’t expecting however was to be able to witness easily the greatest sporting event I have ever seen live. 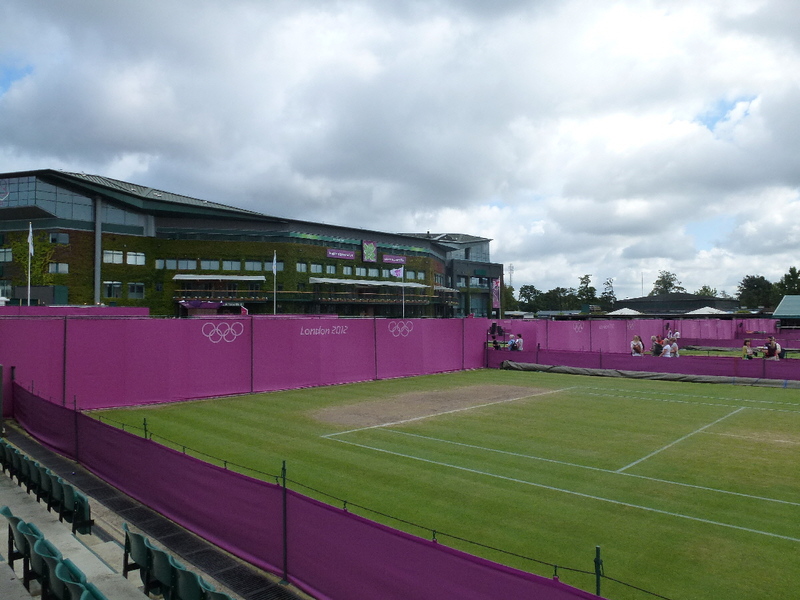 It was an early start for my flatmate Sam and me as we made the cross London trek to Wimbledon with the intention of beating the inevitable rush but once we got there we were able to spend time walking around the famous grounds of the All English Lawn Tennis Club. 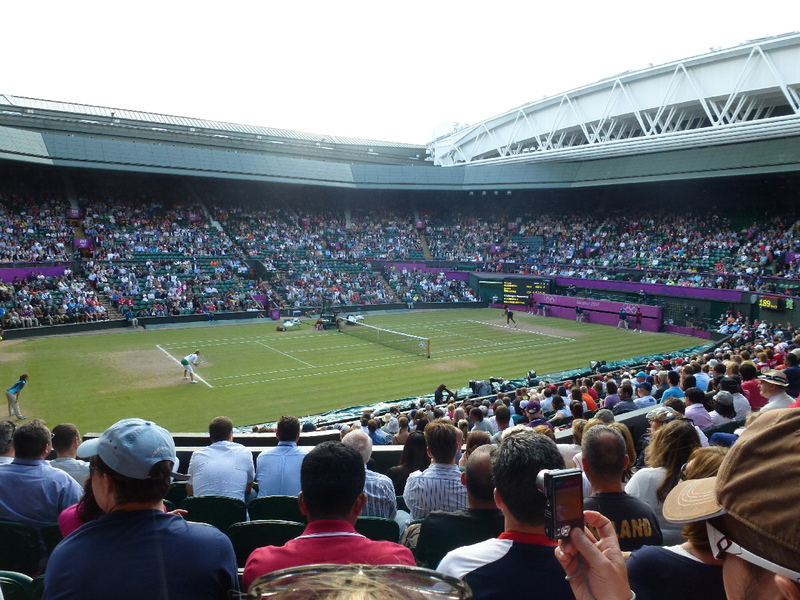 It was a surreal experience seeing all the sites I had only ever seen on TV, especially as we managed to talk a volunteer into letting us roam around Centre Court and take a few pictures. Our tickets for the day were for Court No. 1 and we were excited as the feature match was scheduled to be Andy Murray and Laura Robson playing mixed doubles for Great Britain. 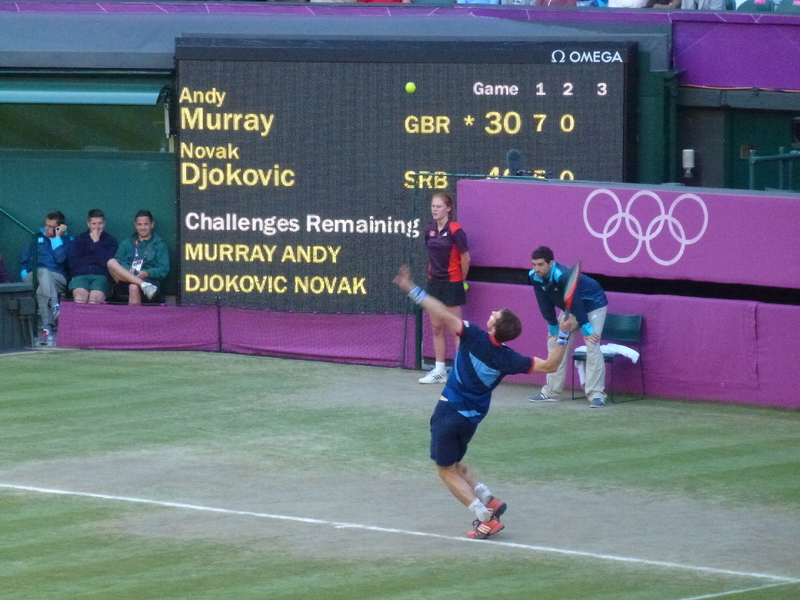 This match was scheduled to be fourth but the catch was that Murray was also booked to play in the Men’s semi final against Novak Djokovic earlier in the day on Centre Court. This didn’t concern Sam and I too much as the only way this would lead to a problem was if the first men’s semi final on Centre Court went long, and with Roger Federer playing the odds of that were slim. The first matches of the day began, after a short rain delay, about 12:30. 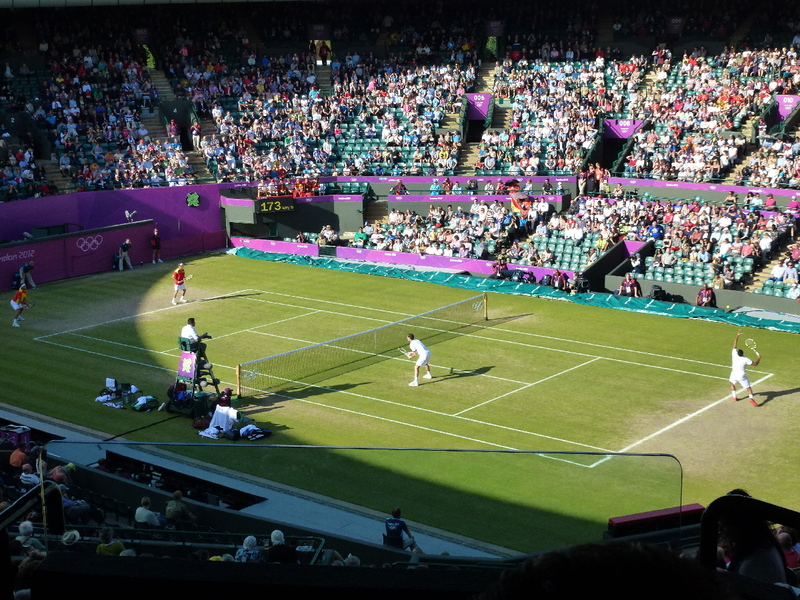 We were watching the Czech Republic play the USA in women’s doubles and Centre Court began watching Federer. 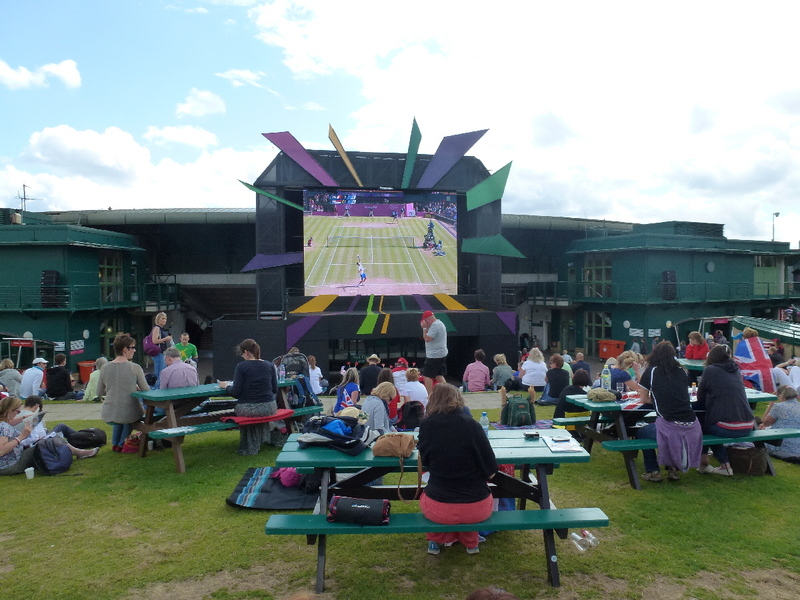 Our match ended quickly and we rushed out to the famous Henman Hill to see what was going on. Roger Federer was being pushed to the absolute limit by his Argentinian opponent, Juan Martin del Potro, and as the match entered the third set we had to rush back into court one to watch the women’s semi final. 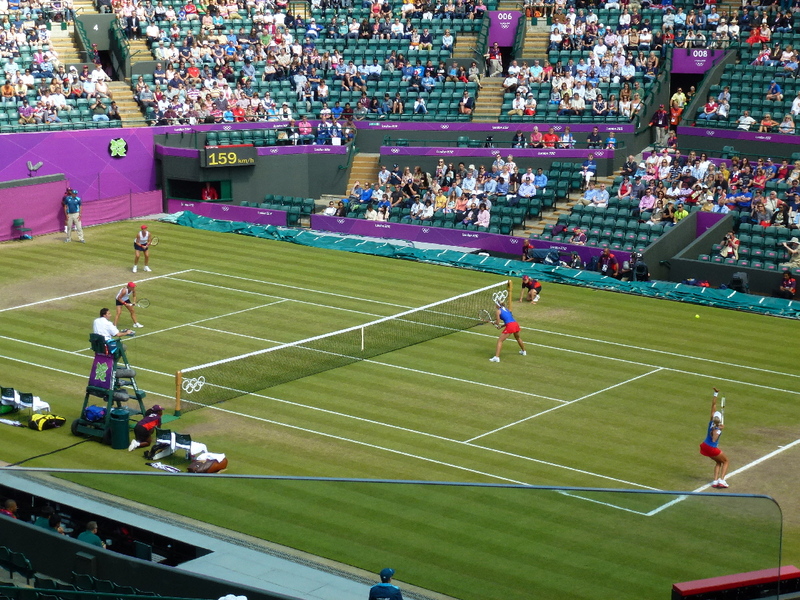 As Maria Sharapova began dominating her Russian opponent we kept checking the score on Centre Court. We could hear the reaction from the hill on every break point or every long rally. It became quite a tense atmosphere as we realized, this match isn’t ending. 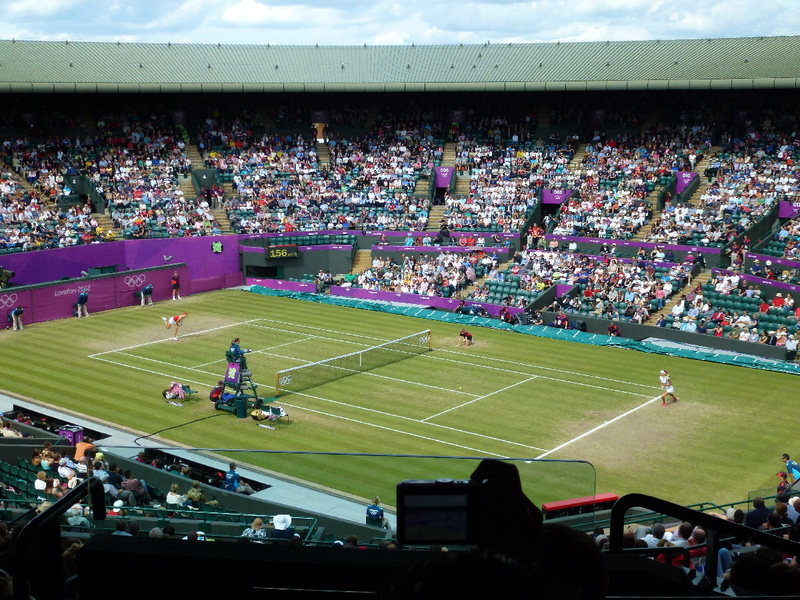 Our third match of the day began shortly after Sharapova`s victory and as Spain battled France in Men`s Doubles. Despite seeing world class players such as Jo Wilfred Tsonga and David Ferrer the buzz in court 1 had become all about what was going on next door. My friend Andrew was lucky enough to be in Centre Court and we were texting back and forth as the Federer match continued. He was texting me update after update and as Federer finally prevailed the cheers could be heard all around the Wimbledon grounds. 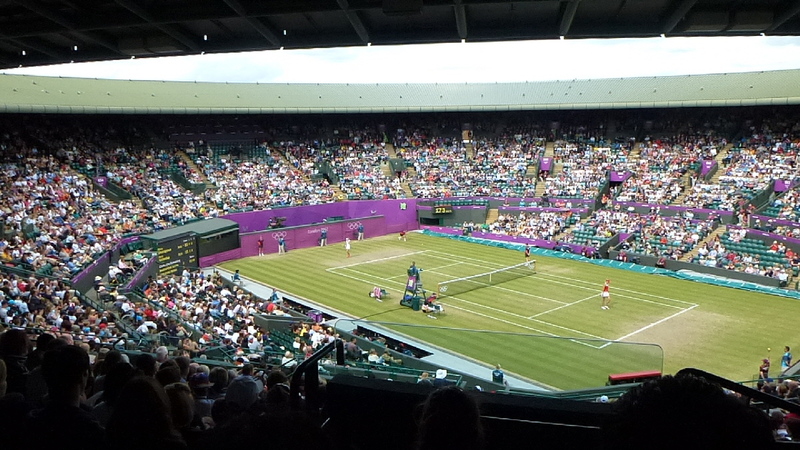 It was after this match that Centre Court began to empty out. Despite Serena Williams being featured in the Women`s Semi Final much of the crowd needed a break after the longest match in Olympic history. 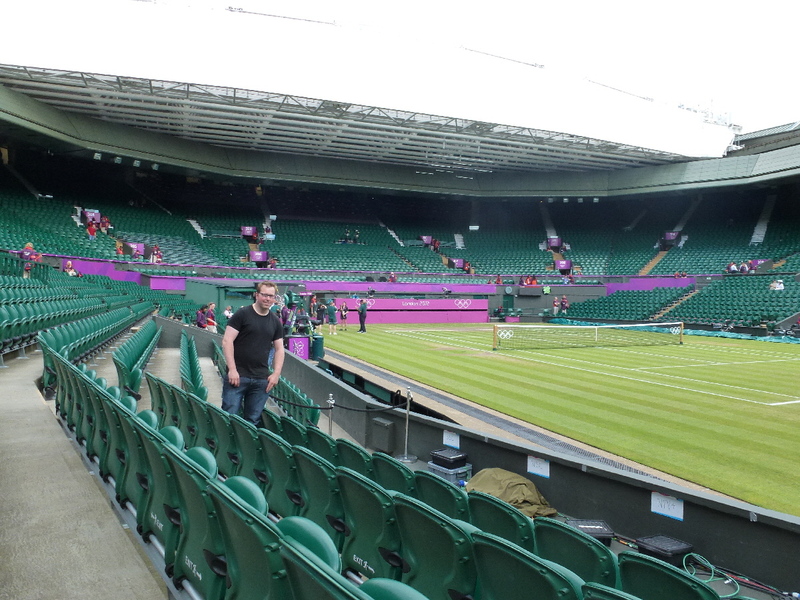 It was also at this point that Sam and I decided to try our luck at getting on to Centre Court! 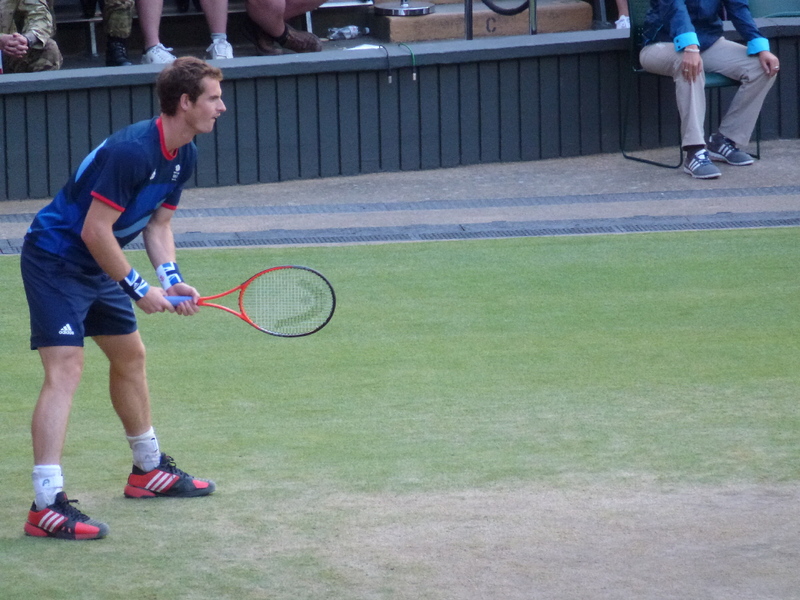 We knew that we were going to miss Andy Murray altogether if we didn`t try so we made the move and successfully managed to find some seats near Andrew. What a fortunate move this turned out to be! The atmosphere on Centre Court as the players appeared was unbelievable and the tension built up as the players stayed on serve through the first 11 games of the first set. 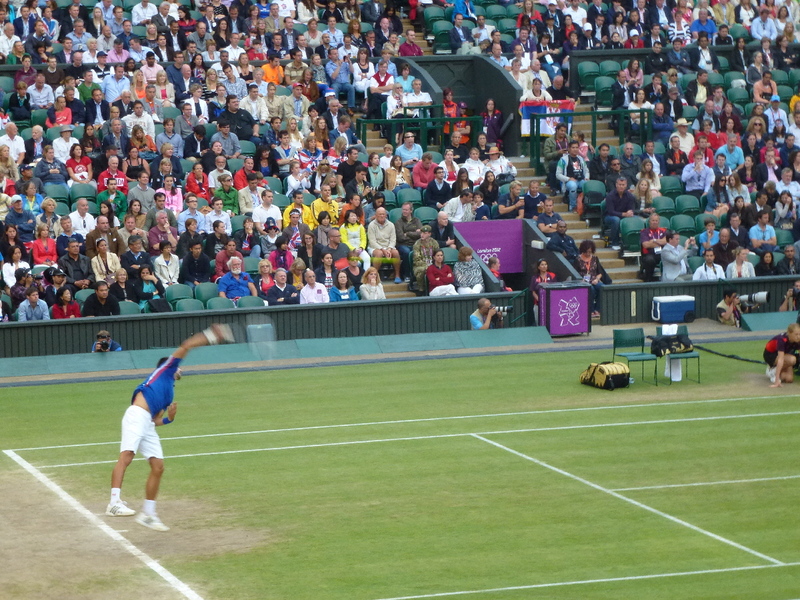 It was in the twelfth game that the match reached his peak with Murray breaking Djokovic to win the first set! 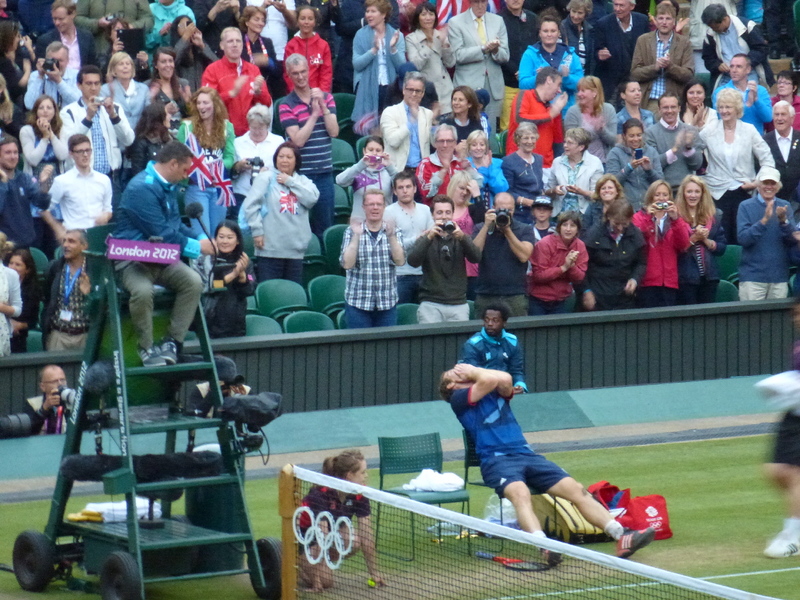 Chants of “Murray, Murray” were reverberating around Centre Court for much of the second set which played out in exactly the same fashion, causing the place to erupt as Murray clinched the match and a medal for Team GB. 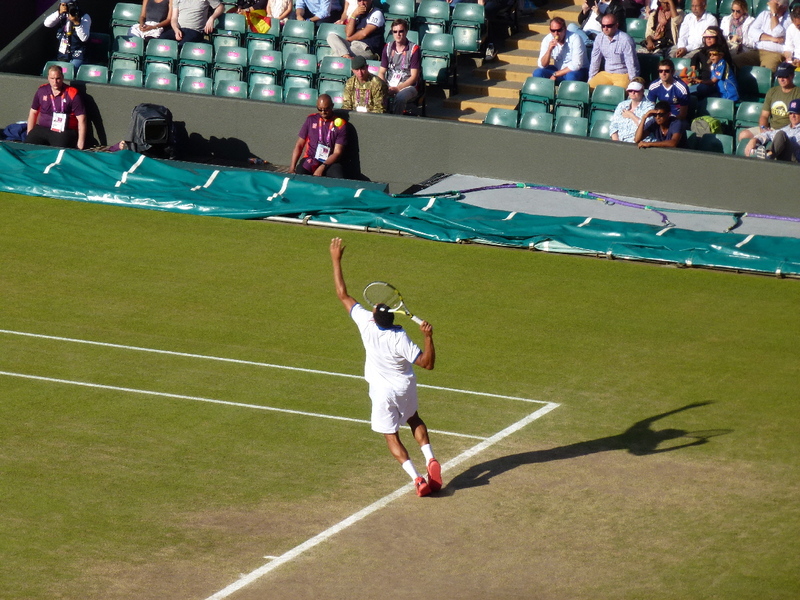 This was truly a memorable day for me as I was not only able to visit the hallowed grounds of Wimbledon but was also able to watch two of the top players on the planet compete for an Olympic medal!